Good morning We R readers. 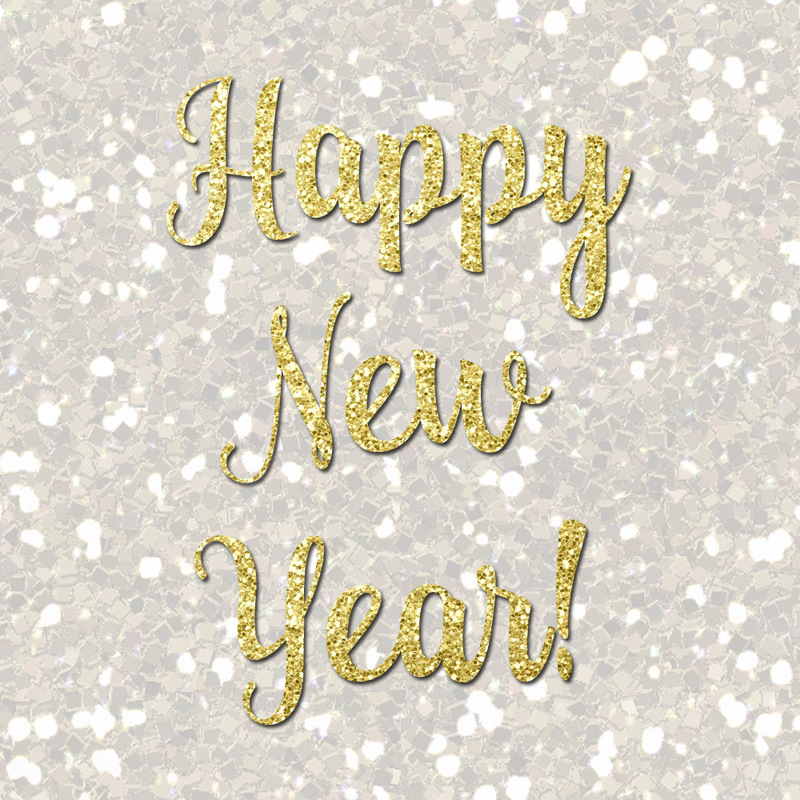 I can’t believe that this year is already coming to an end and we are getting ready to embark on a brand new fresh start. 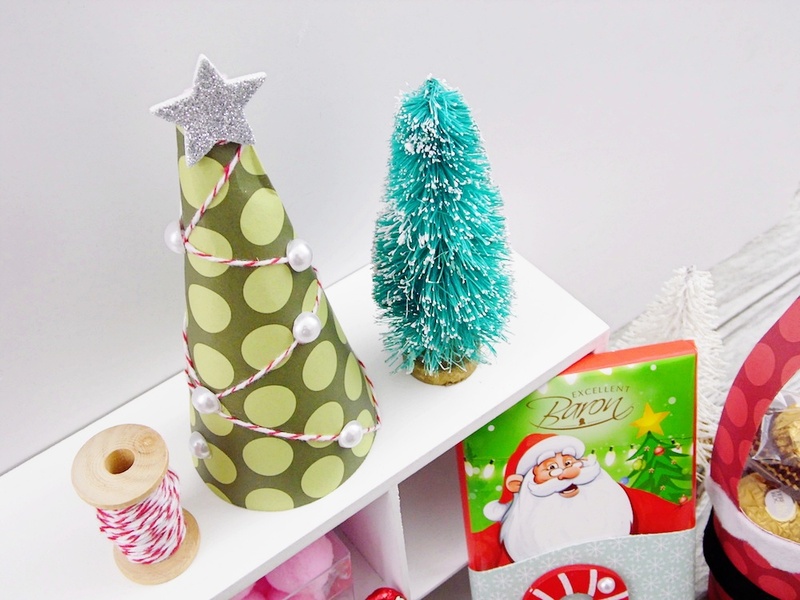 Once the holiday decor goes down, it can feel a little bare in my home so I like to add some warmth back in to keep away the cold, dreary days of winter. I love the new Photo Lights photo frames that were recently released. 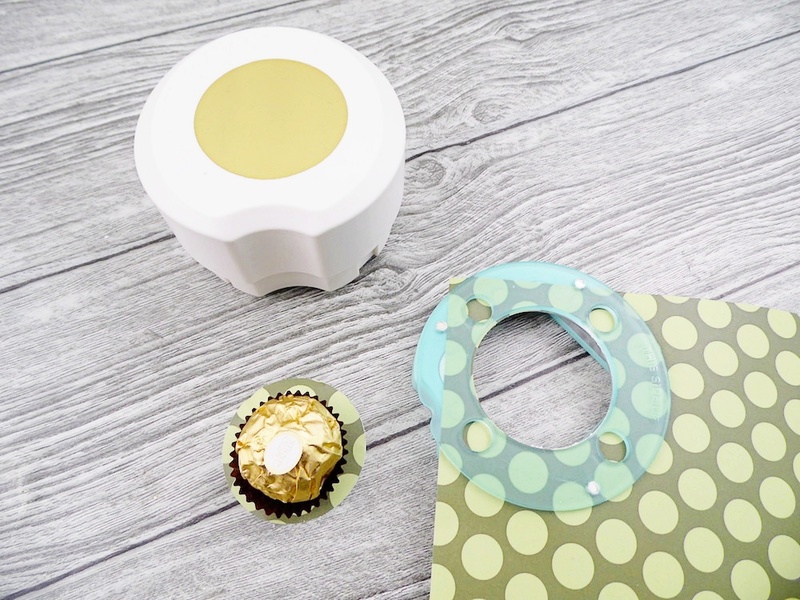 You print out your design on special backlit film that you can print out right from your home computer. 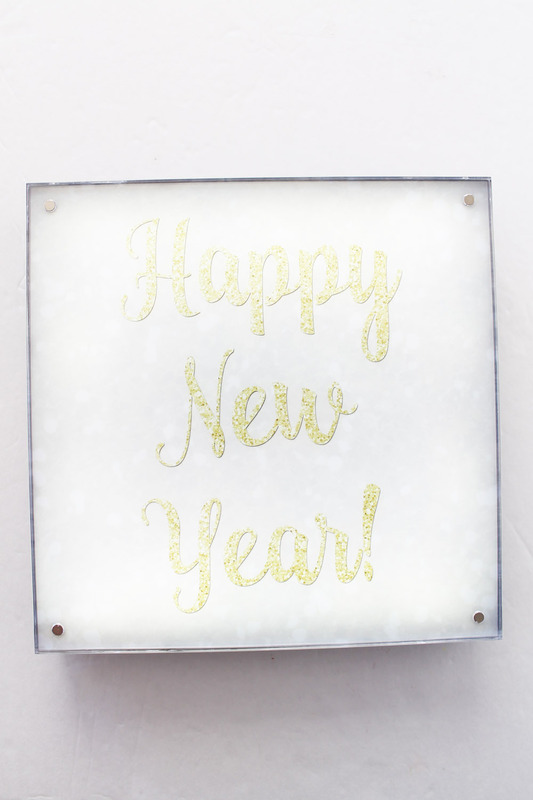 I thought it would be fun to create a glittery happy new year photo that I could display to celebrate the new year. I started by designing an 8 inch x 8 inch design in Photoshop Elements. Note: To use this photo, simply right-click and save the image. 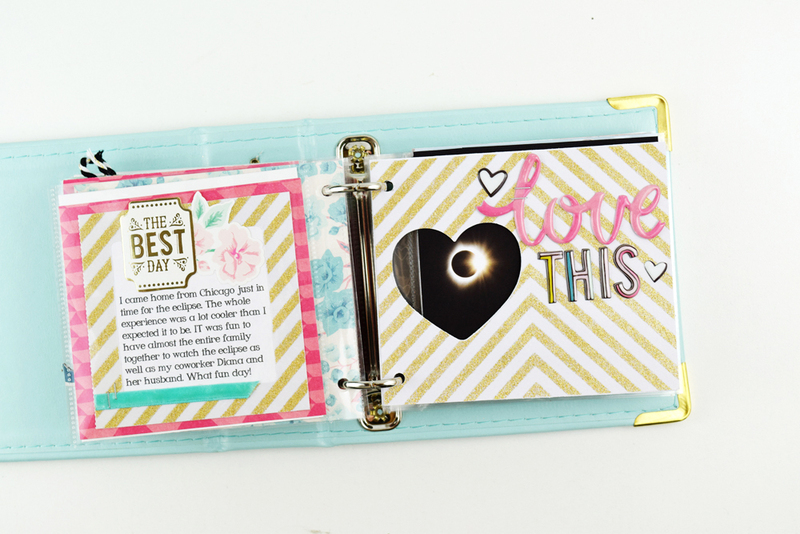 The backlit photo paper comes in 8 ½ x 11 inch sheets. I printed my image and then trimmed it to fit on the frame. You can see right through the image, but it is still very clear. The photo frames are so easy to use. The front attaches with little magnets in each corner. 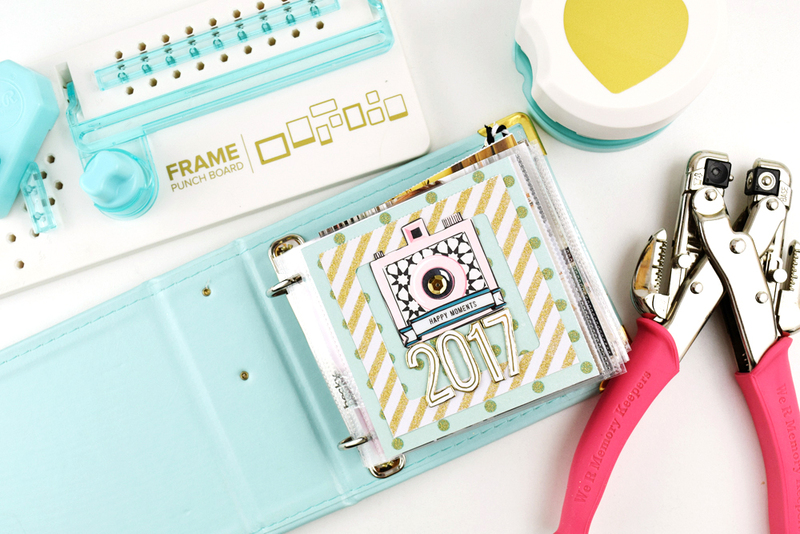 Add your special photo paper to the frame, secure it to the front with the acrylic magnetic photo cover, add your batteries and turn it on. It even has a timer so you can have your frame turn on and off when you would like. 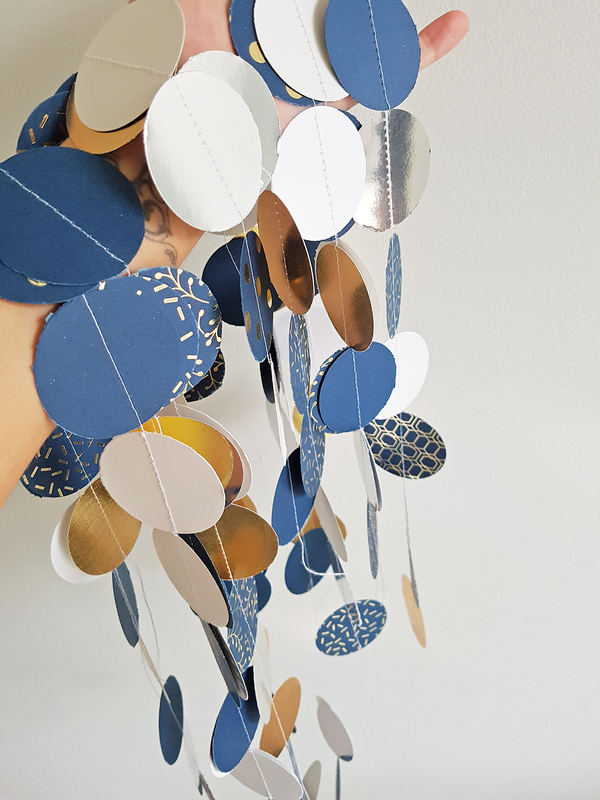 I created a little light garland behind the frame using the DIY Party lights and some gold tassels. 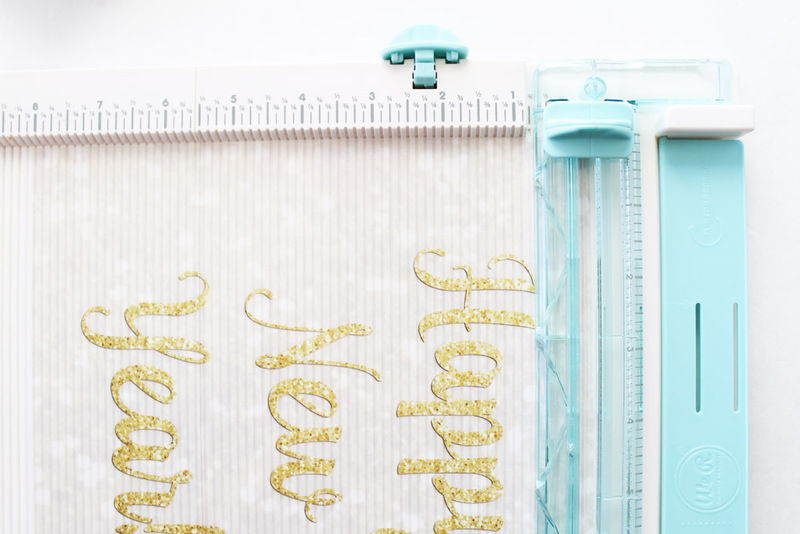 The DIY Party line makes it easy to add some sparkle and shine to any project. The frame looks even prettier in person. 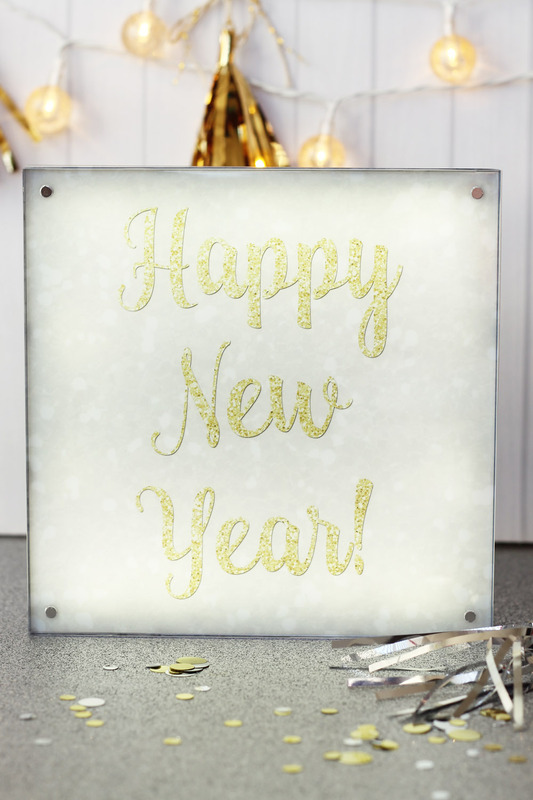 It is sparkly and fun – perfect for ringing in the new year! And I can easily change out the frame when I am done celebrating. Hello We R Fans! Happy almost New Year! 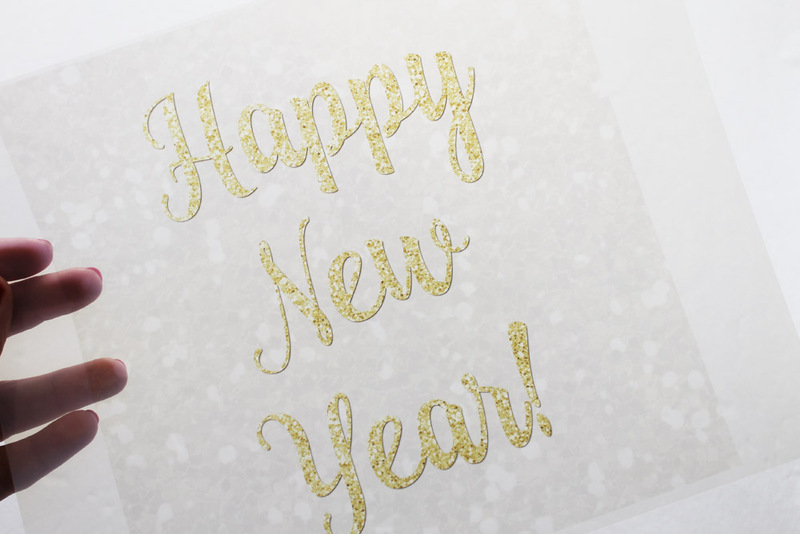 Kimberly here with a fun card to send to celebrate the new year! 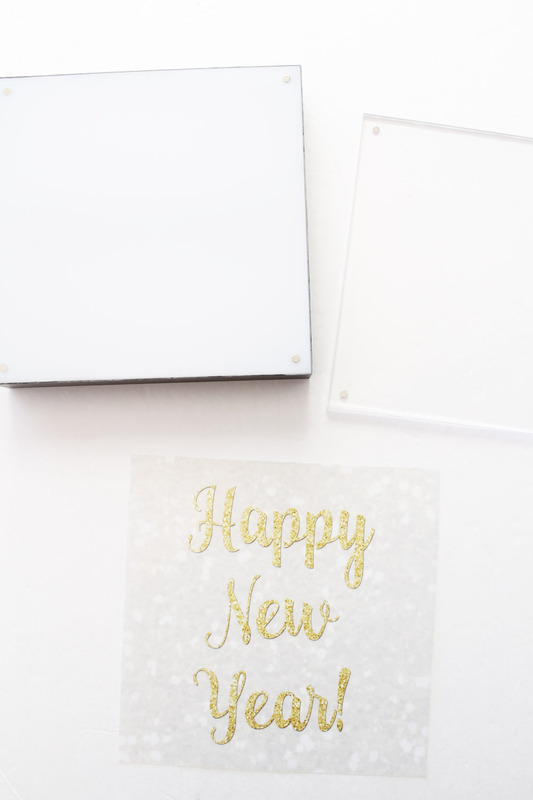 I have several friends who send New Year cards, rather than Christmas cards, so this idea is perfect. For me, these cards are going to be the perfect invitation to our celebration! My husband is a fabulous cook and makes the most delicious Chinese food. Now that’s the way to ring in the New Year! 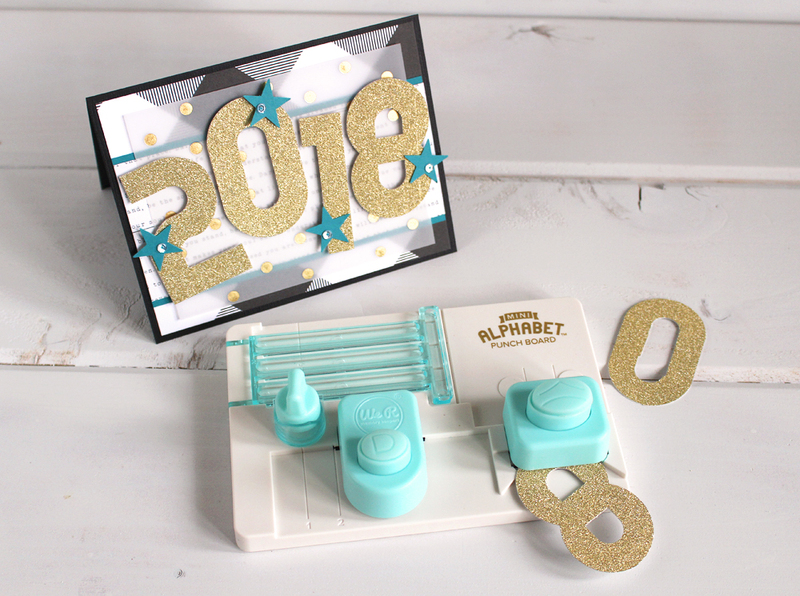 I used the Mini Alphabet Punch Board to create the numbers on this card. 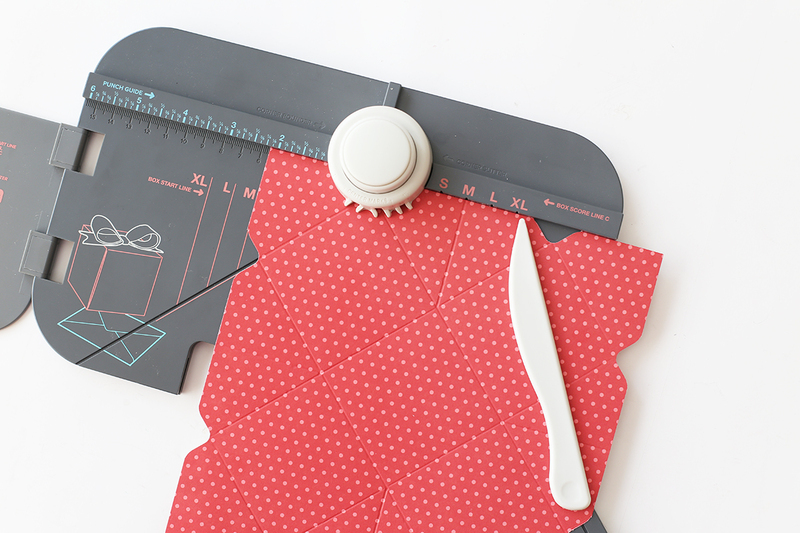 I love how quick and easily I can customize any project with this tool! 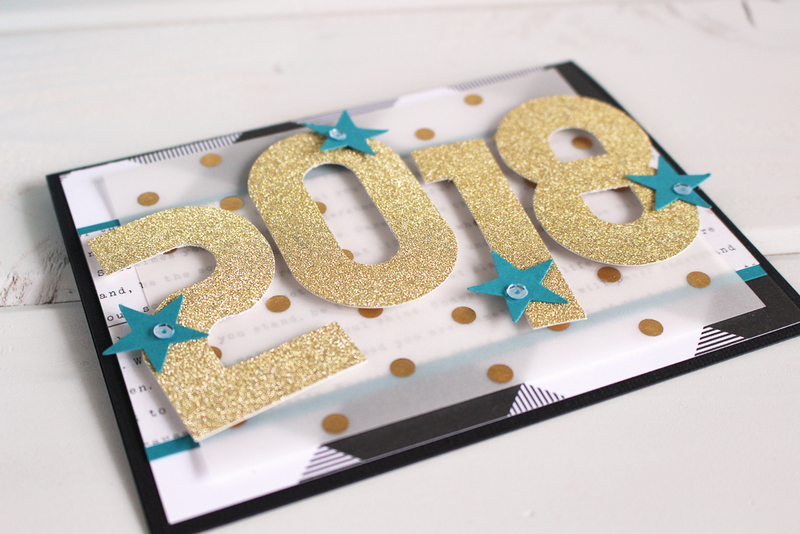 I created each of the numbers from gold glitter paper. The size of the numbers was perfect for a standard A2 card. To make the numbers pop off the card more, I used dimensional adhesive. 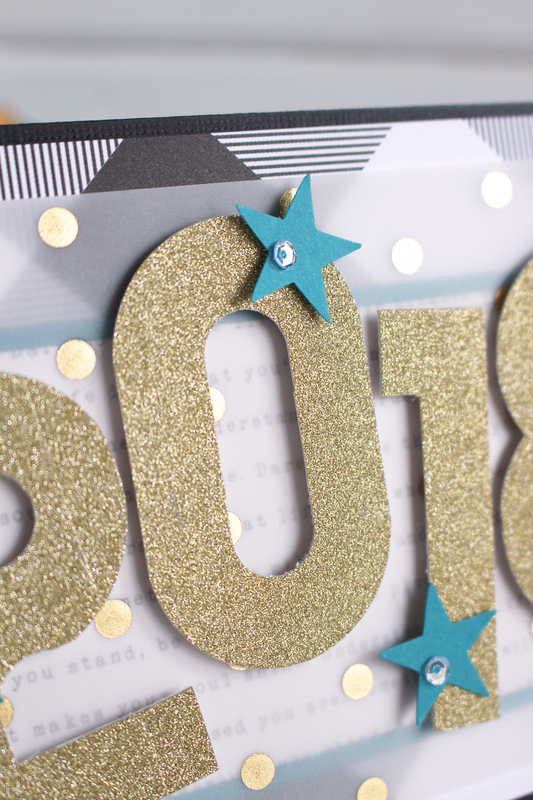 To each of the numbers I added stars and a few sequins, to kick the sparkle up a notch. It is a celebration after all! 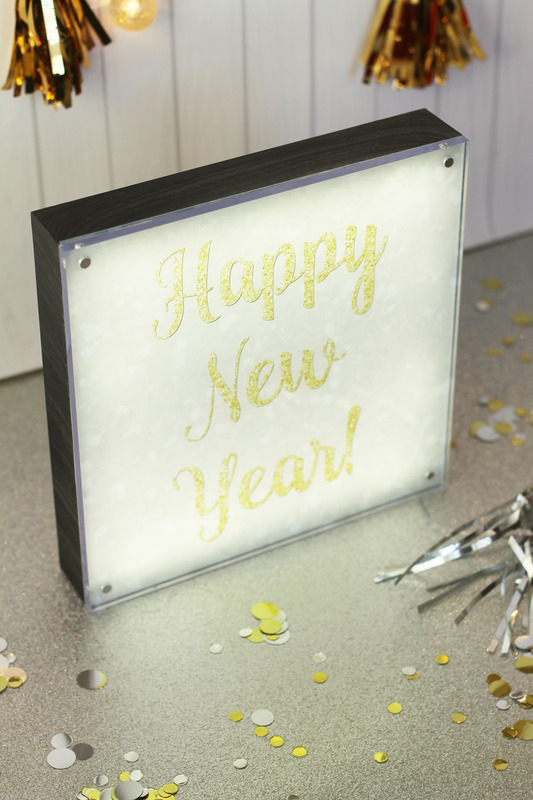 How will you be celebrating the New Year? I wish you all the best in 2018! 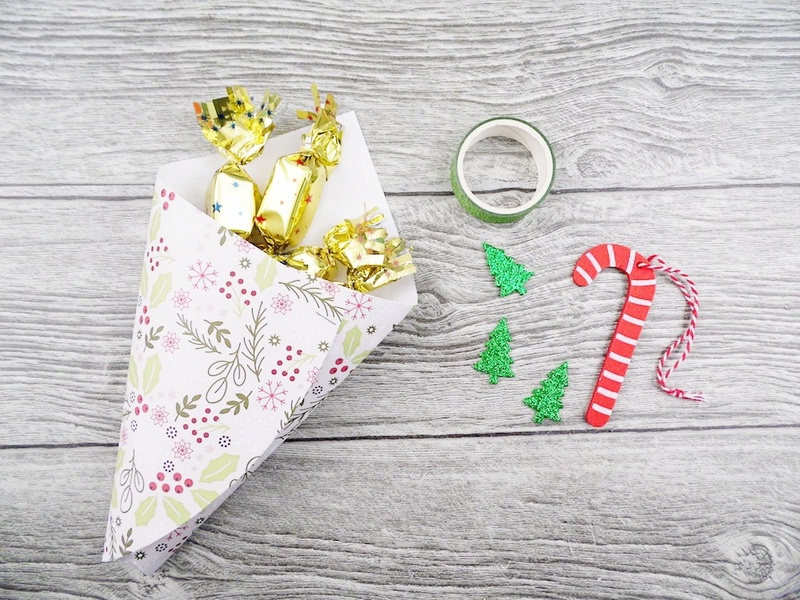 Hello and welcome back to the blog for my last post for 2017! 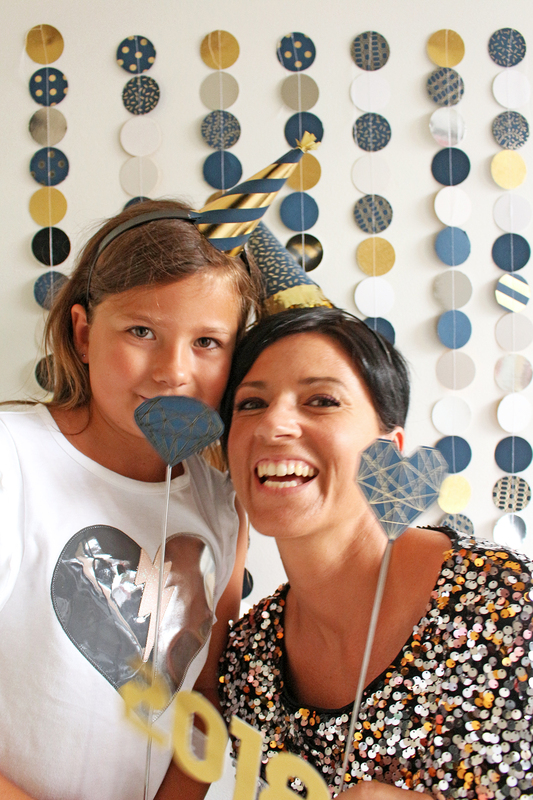 What better way to capture the fun and excitement of ringing in the New Year than a few snaps against a fun backdrop! 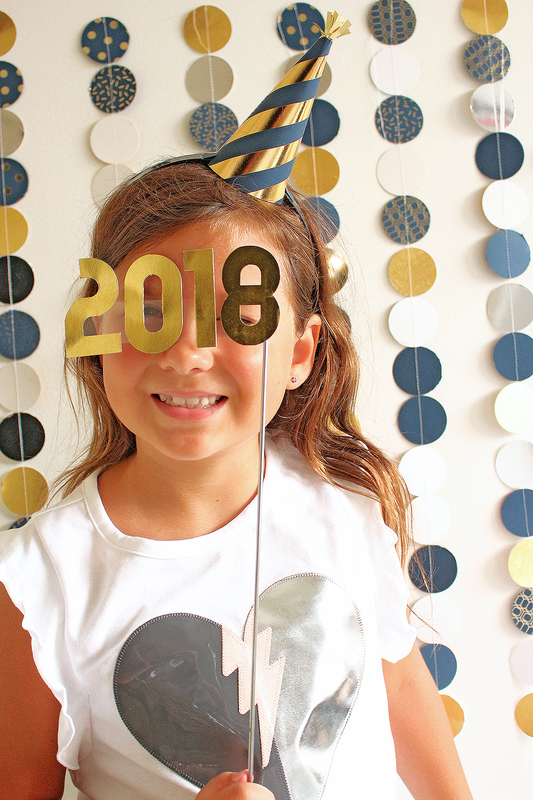 Read on to see how you can create your own photo area in your home using the DIY Party Board and Circle Clear Cut Punch. Fun photos are not complete without a few props! 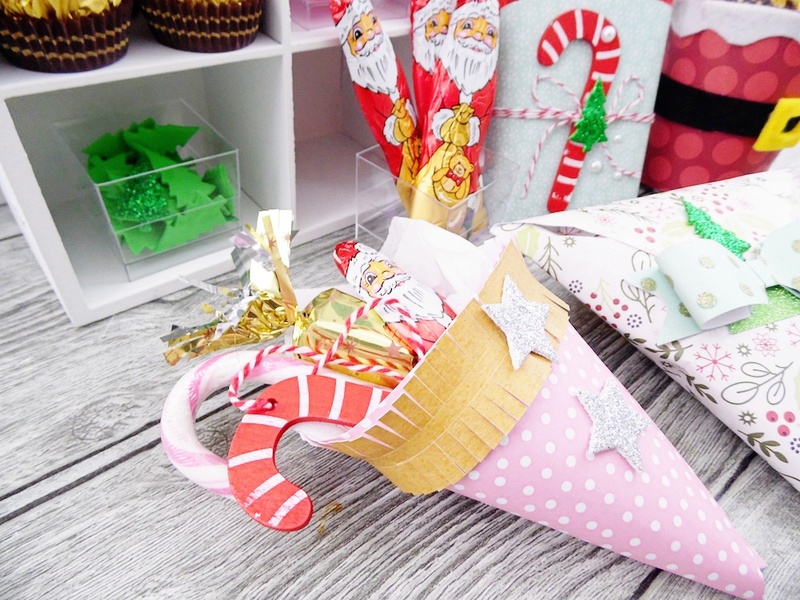 I’ve used my DIY Party Board to put together some little party hat headbands. 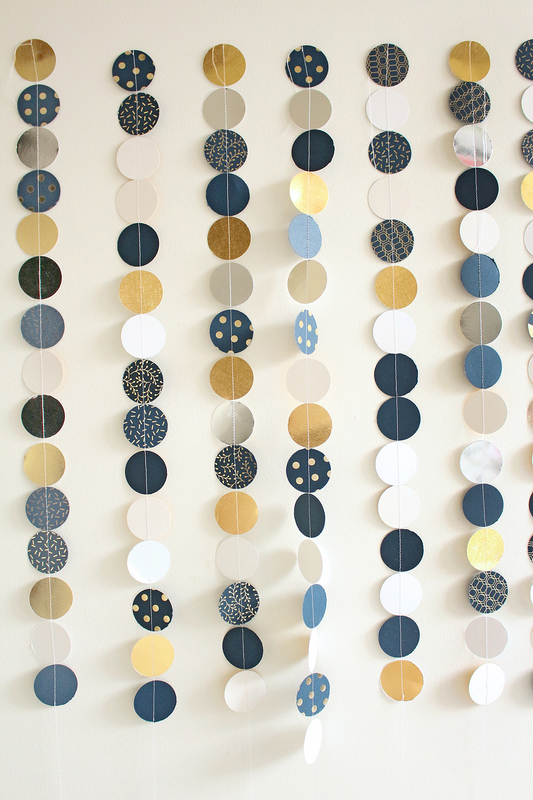 I’ve used some plain store-bought bands and some 12×12 sheets of paper from my DCWV Indigo Craft & Champagne Stack. 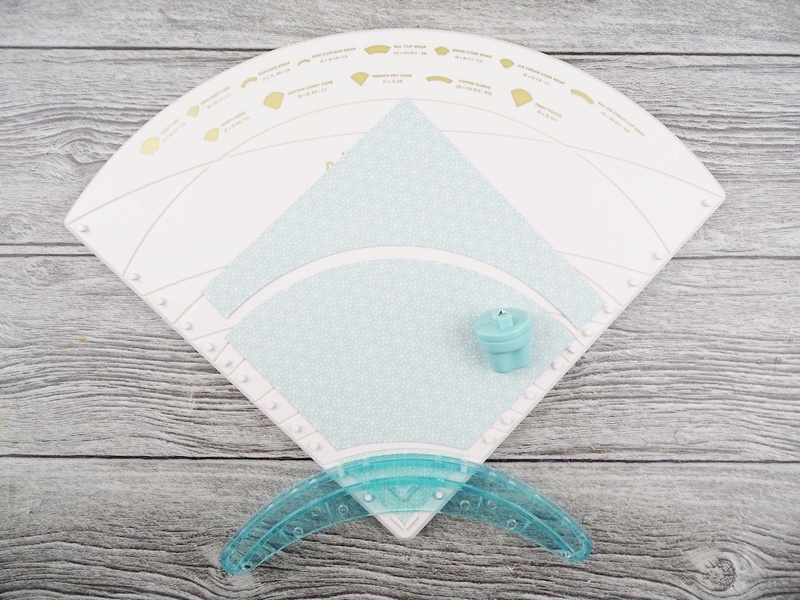 The DIY Party Board has measurements printed directly on to the product. 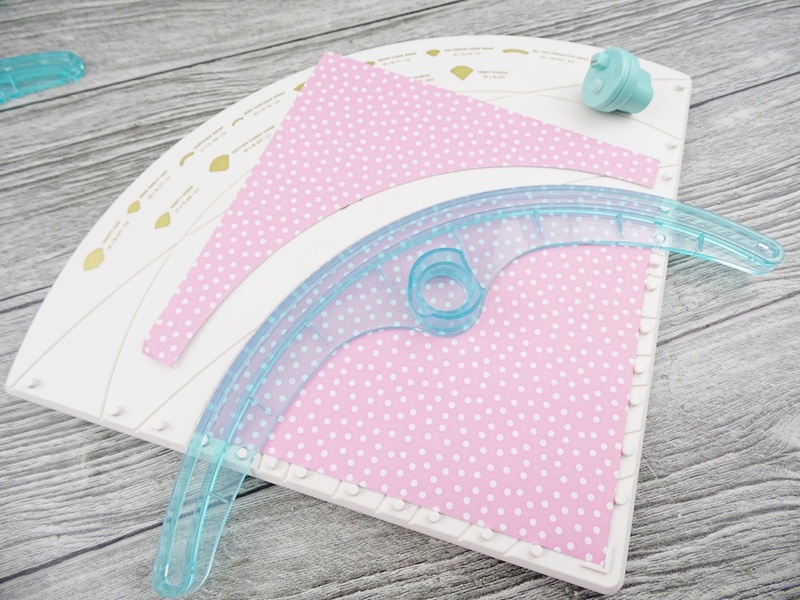 This is super handy for a quick reference when putting together some of the many fun items you can create using this clever board. 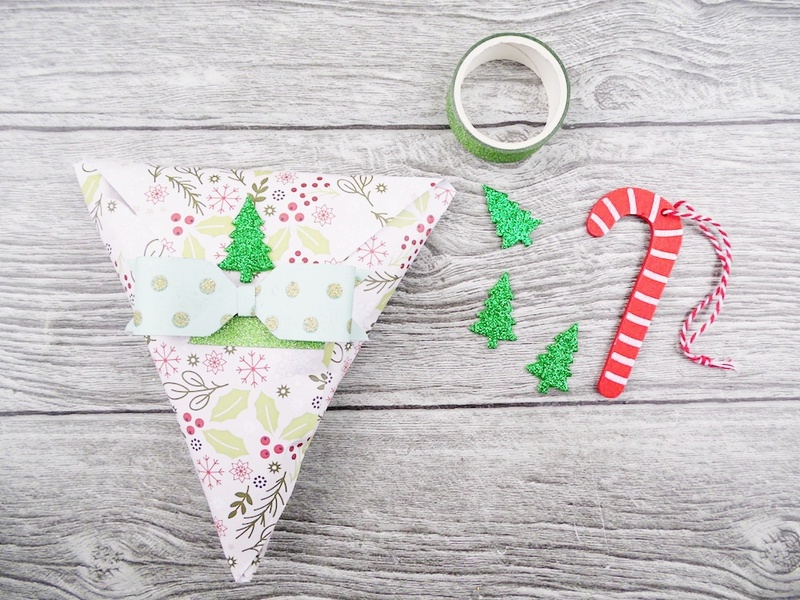 For the larger size party hat, I used measurements for the guide marked ‘A’ at the corresponding numbers for that size hat – 11 and cut along the edge. I then made a second cut, using the ‘C’ guide at 3. 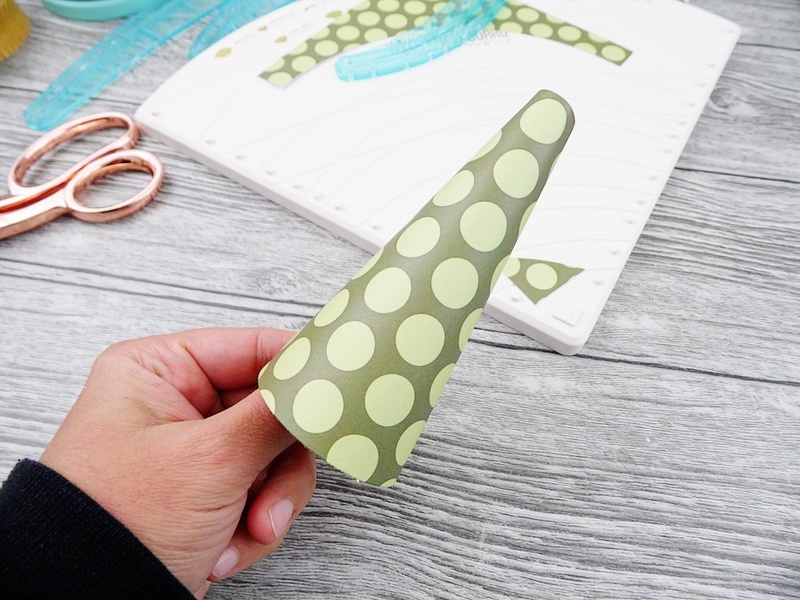 This gives you the cone shape. For the smaller hat, I used the ‘C’ guide at 7 and again at 1 (as shown below). 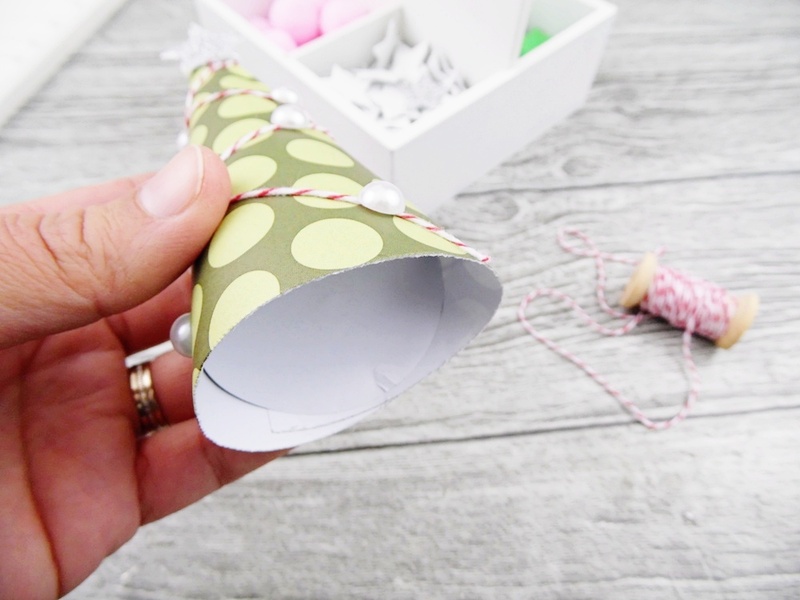 I rolled the cones and adhered using strong adhesive tape so they wouldn’t pop open during use. 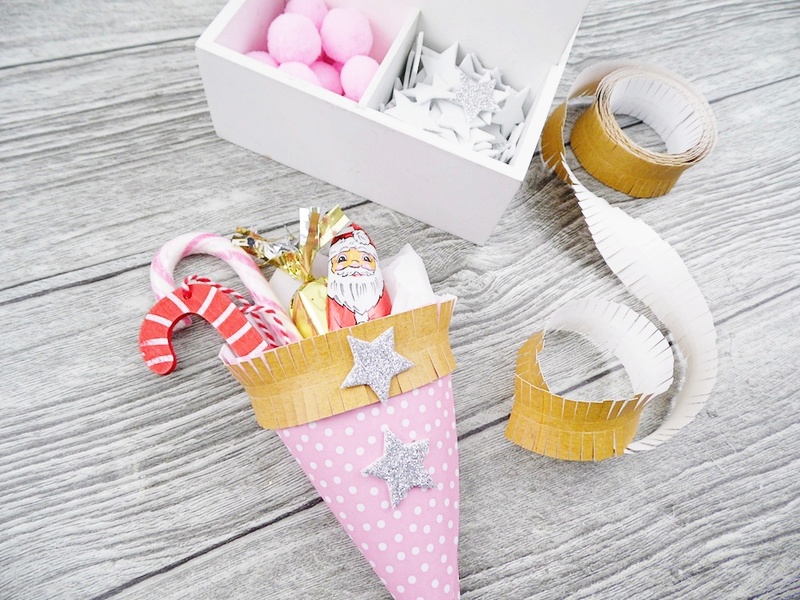 The cones were then glued to the band using a hot glue gun. I did have several attempts, which weren’t very satisfactory. I found making two small incisions near the bottom of the hat on both sides where they met the band, gave the band a bit more flex and the cone stayed adhered to the band. 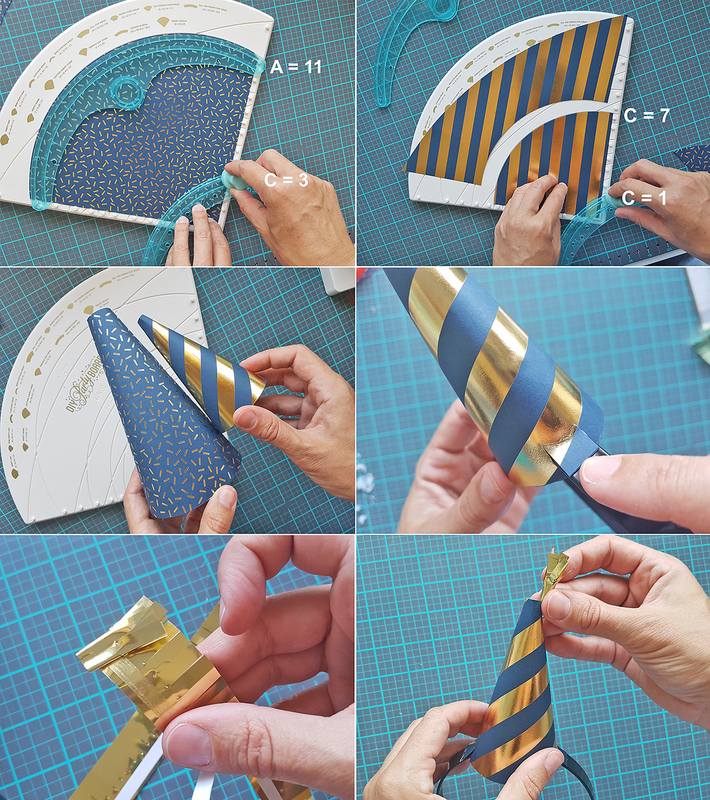 Finally, some finishing touches came in the form of some DIY Party Gold Fringe Tape. I rolled some up and popped it inside the top of the smaller hat and also used it along the base of the larger hat. 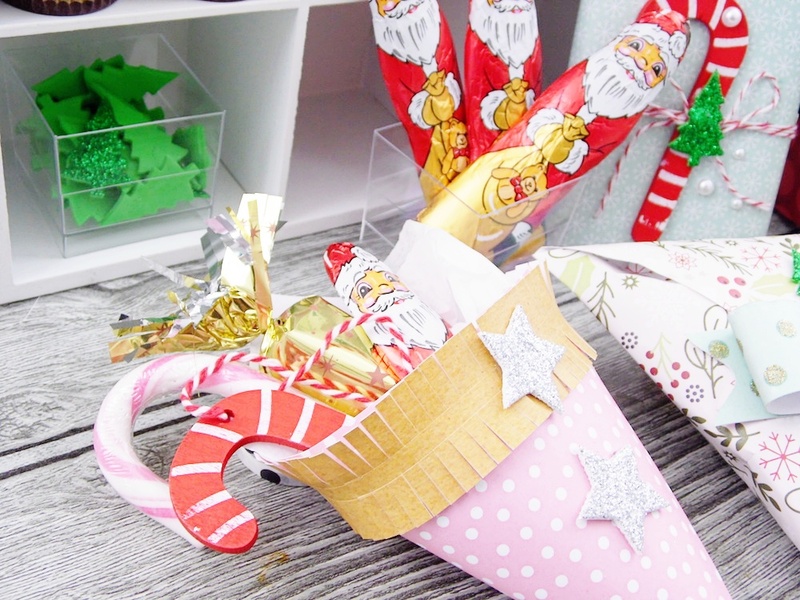 Here you can see our cute party hat headbands in action! 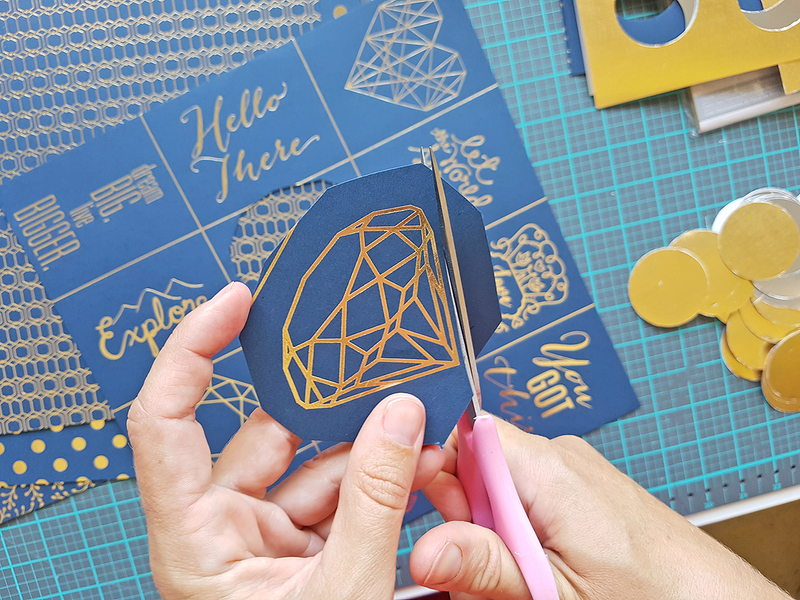 The background for our photoshoot was created using my Circle Clear Cut Punch some more of the pretty Indigo and gold foil DCWV papers as well as some silver and gold metallic Bazzill cardstock. 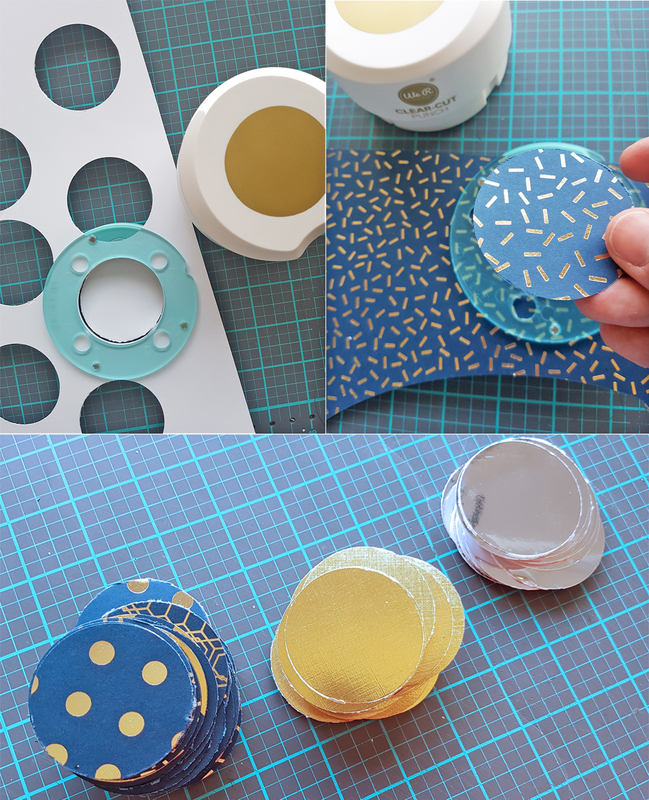 I used the circle punch all over the 12×12 sheets and punched as many circles as I could get out of a sheet. 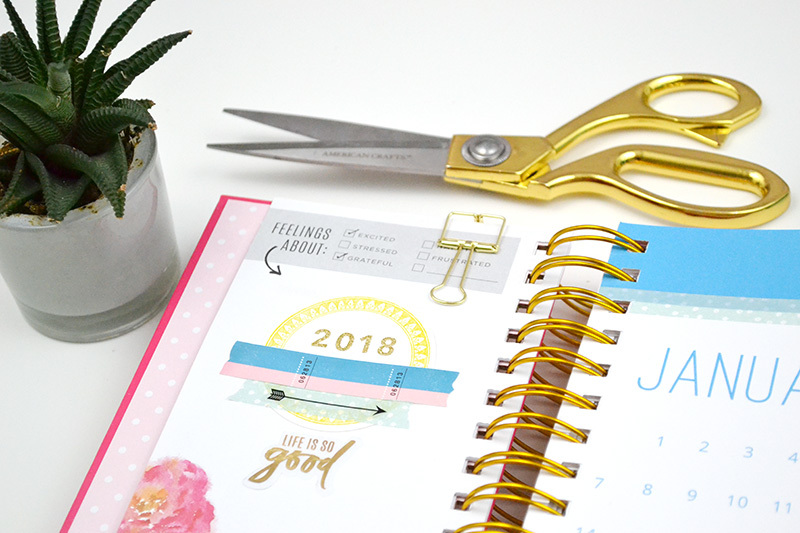 I know I gush about these punches all the time, but they are definitely a favourite product of mine from this year’s releases! 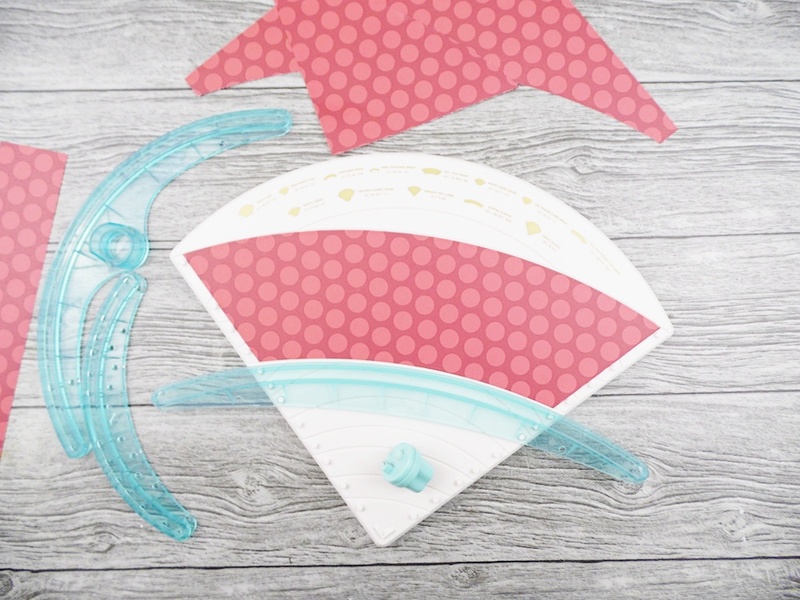 I sewed a combination of circles together using my sewing machine. Each strand had 15 circles and was long enough for head and shoulders images. 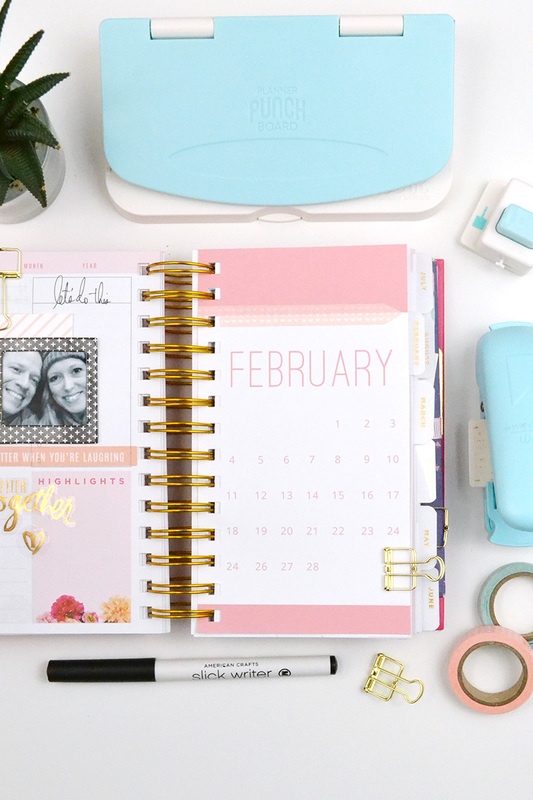 If you want more people in your photos, simply make your strands longer. 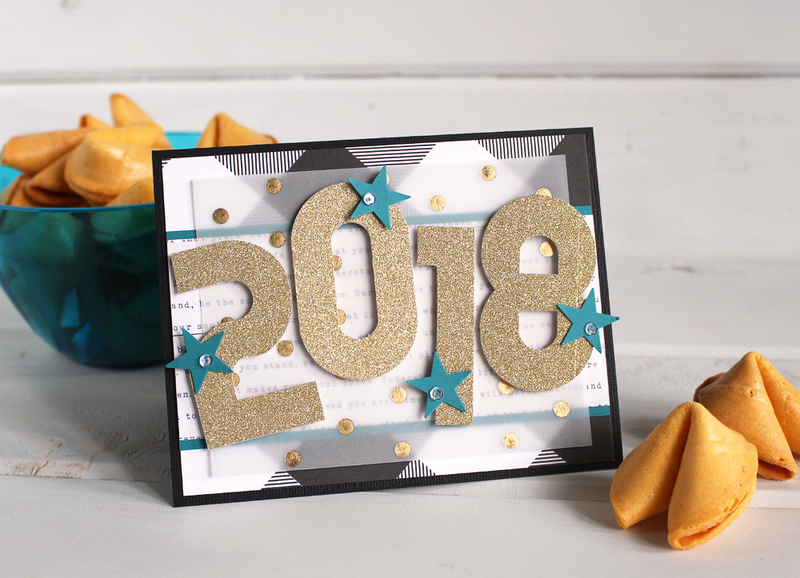 The last thing left to do was create some handheld props in the form of the year and some gems, handcut from the sheet of journaling spots in the DCWV 12×12 stack. 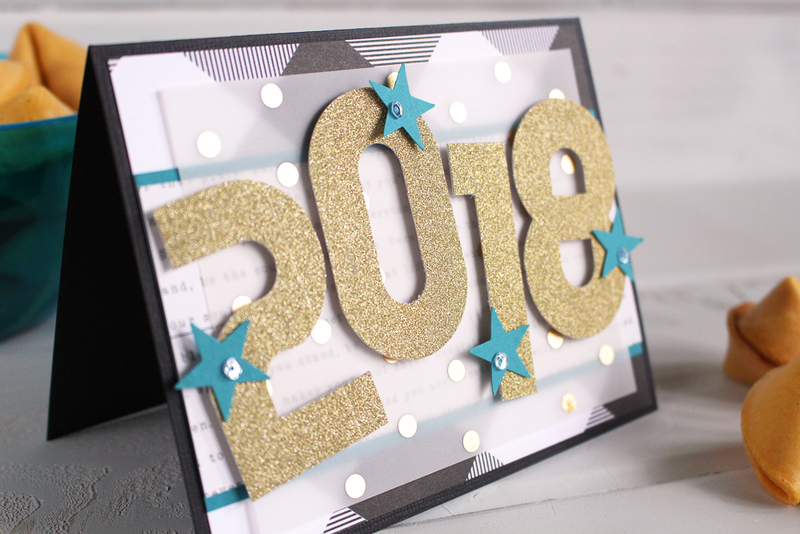 The 2018 prop was created using my Mini Alphabet Punch Board and some gold foil paper from a mini 3×5 paper pad, designed especially for use in Alphabet Punch Boards. We had such fun creating these pictures. Beautiful memories of a year that seems to have just flown! This year has been both challenging and amazing and I so look forward to what a new year, full of possibilities will bring. Wishing you a magical 2018! Hello, and Merry Christmas friends! It’s Aly here today, and I hope you’re enjoying the holiday and spending lots of precious time with loved ones. 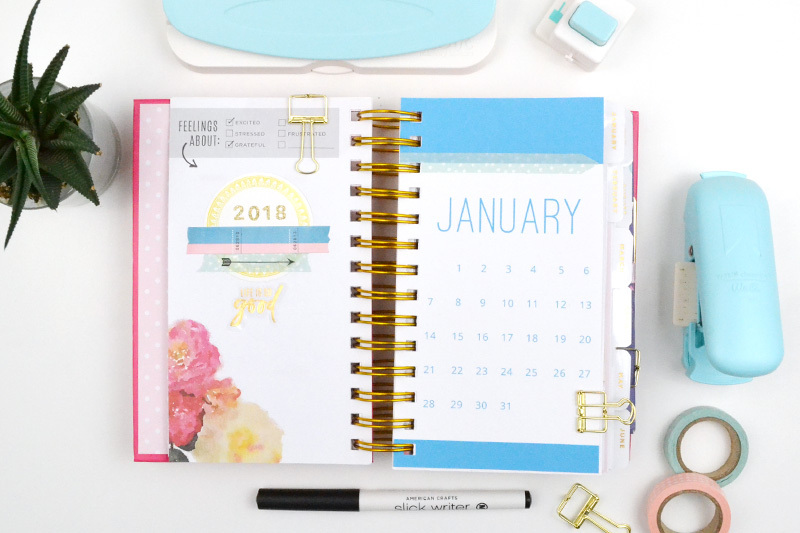 I’ve got a gift for you today–a free printable 2018 planner calendar! 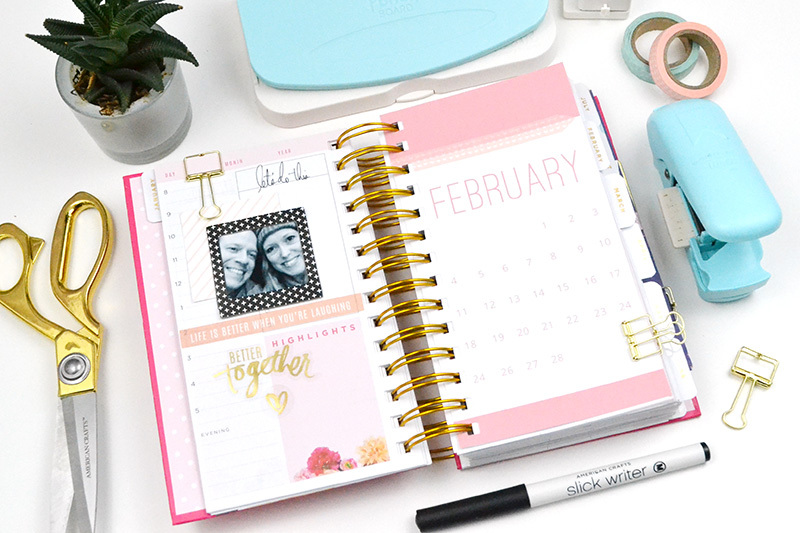 I created monthly calendar inserts for my Heidi Swapp personal planner. 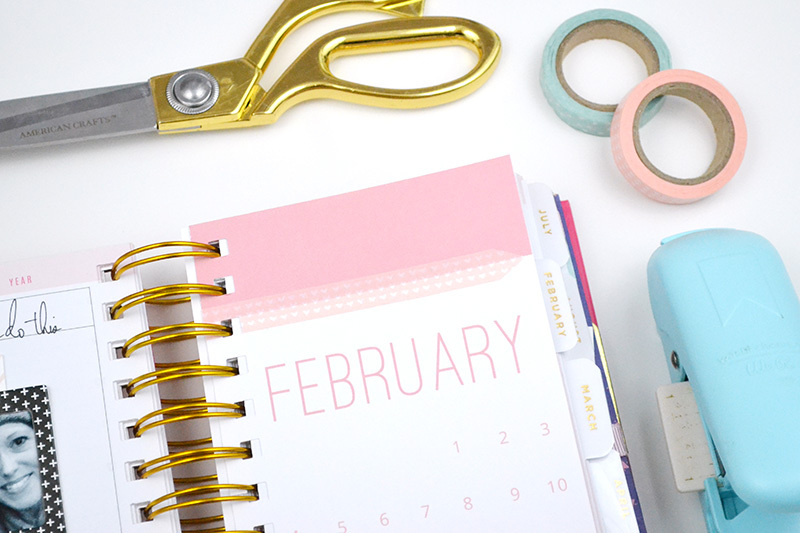 I like to put these at the beginning of each month in my planner as a quick date reference. 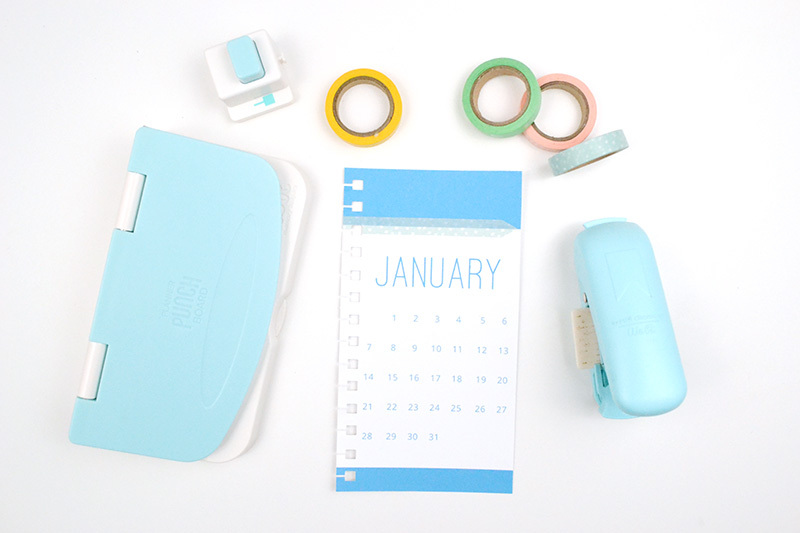 I printed the planner calendar inserts on plain white cardstock, and then cut them out with my Trim and Score Board. 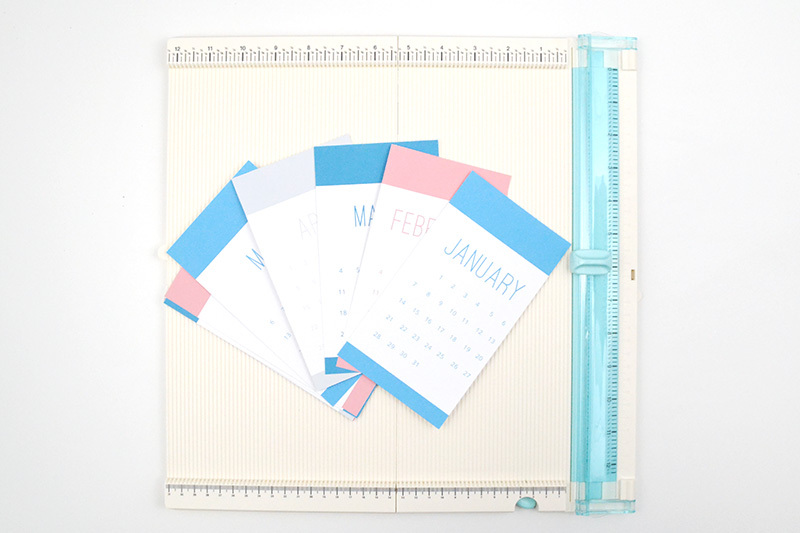 These inserts are 4 x 7 1/4 inches–the perfect size for the Heidi Swapp personal planner. If you’d like to print your own, you can download the free pdf file by clicking the link below. 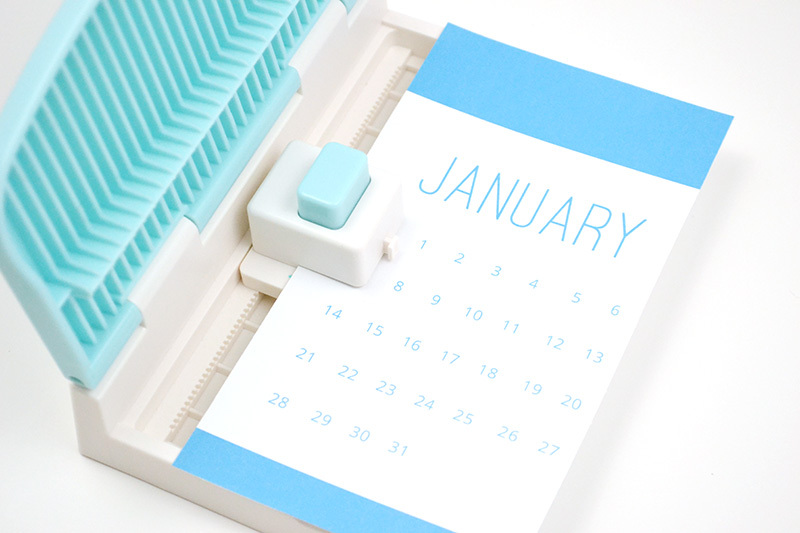 The inserts come two to a sheet, so you’ll need 6 sheets of 8 1/2 x 11 inch cardstock. 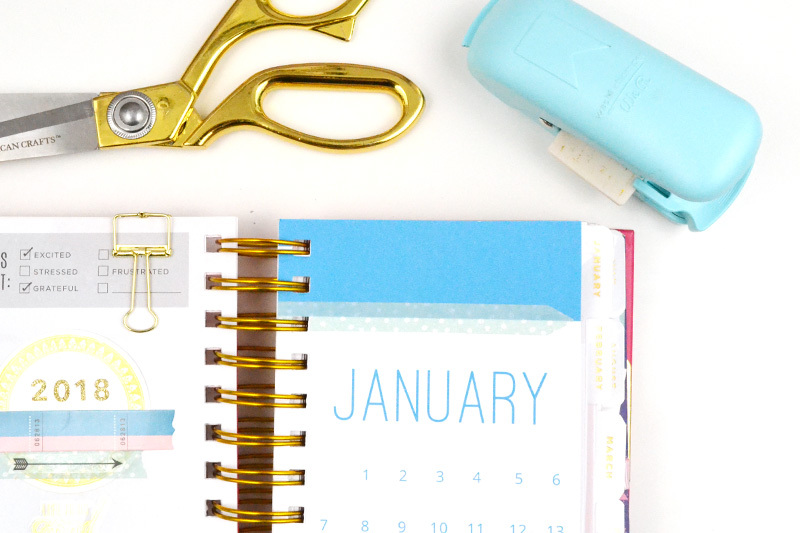 Once you trim them, you can use the Planner Punch Board to add them to your planner. 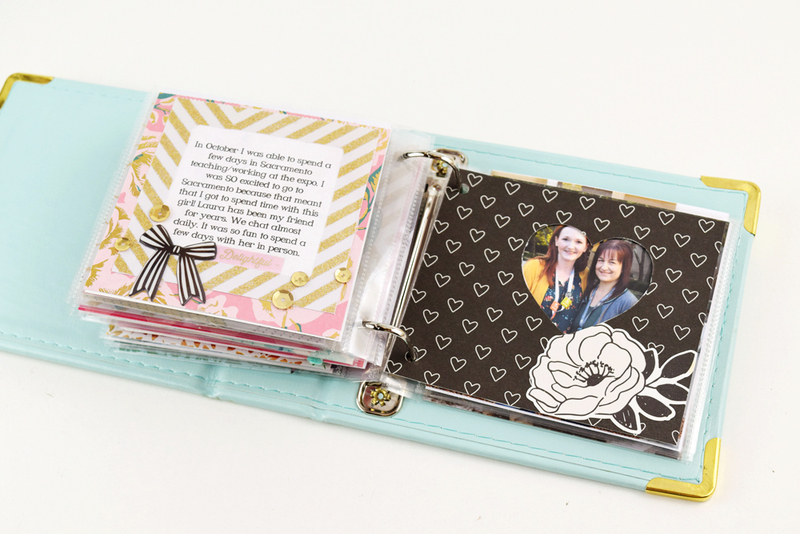 I used the spiral punch insert since my planner is spiral bound. 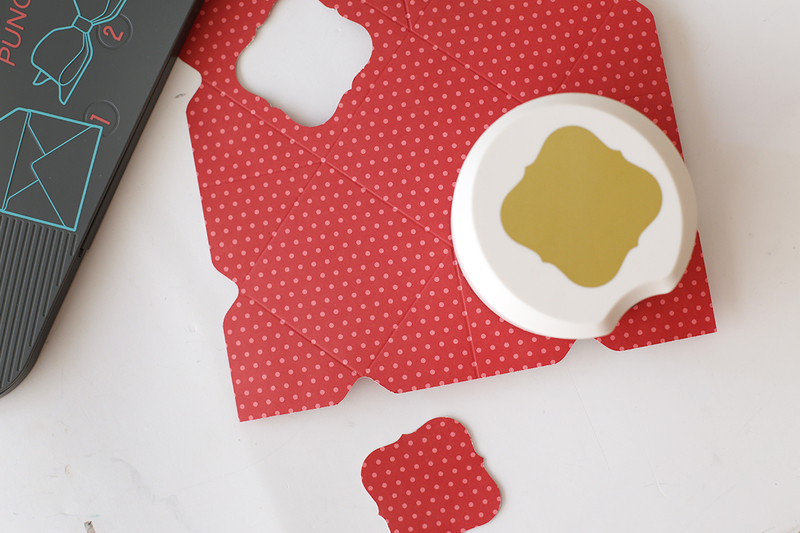 I also added a decorative strip of washi tape that I cut with the Washi Chomper. I love that little tool and find myself using it all the time. 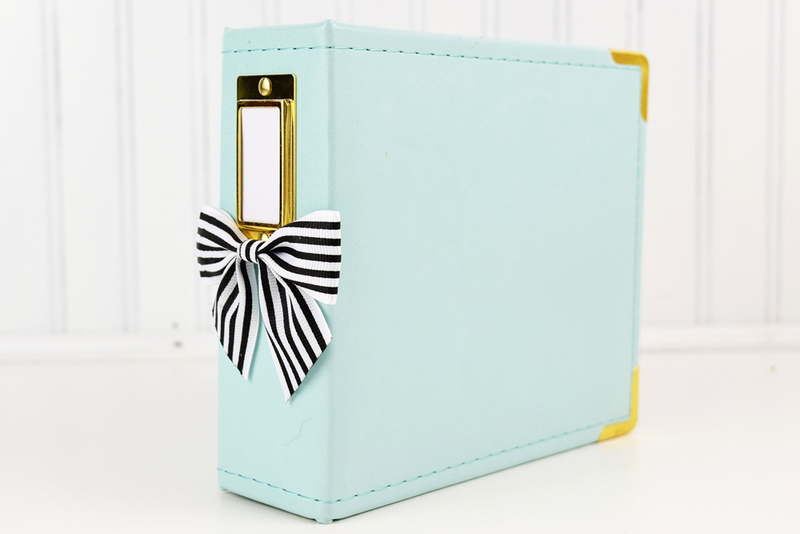 I found that adding the washi tape before punching the insert with the Planner Punch Board worked the best. 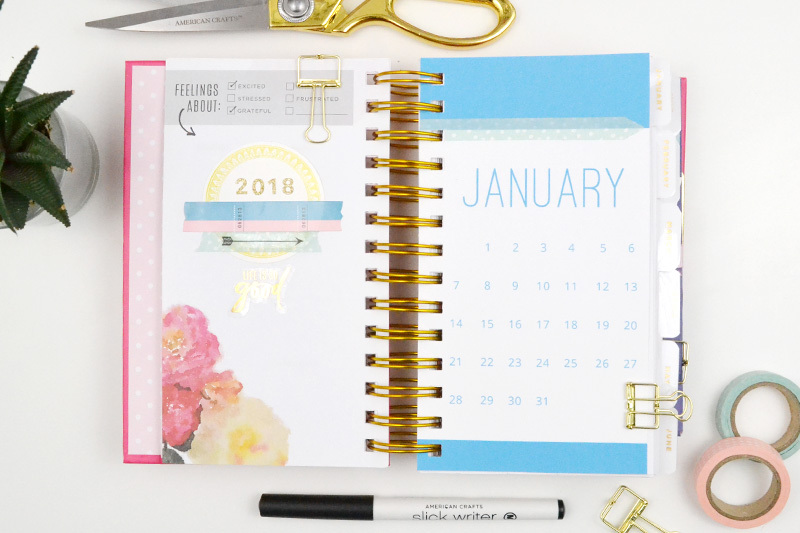 To complement my monthly calendar inserts, I decorated the opposite page with embellishments from the Heidi Swapp Memory Planner Embellishment Kit, and a few stickers from the Chasing Dreams collection by Maggie Holmes for Crate Paper. 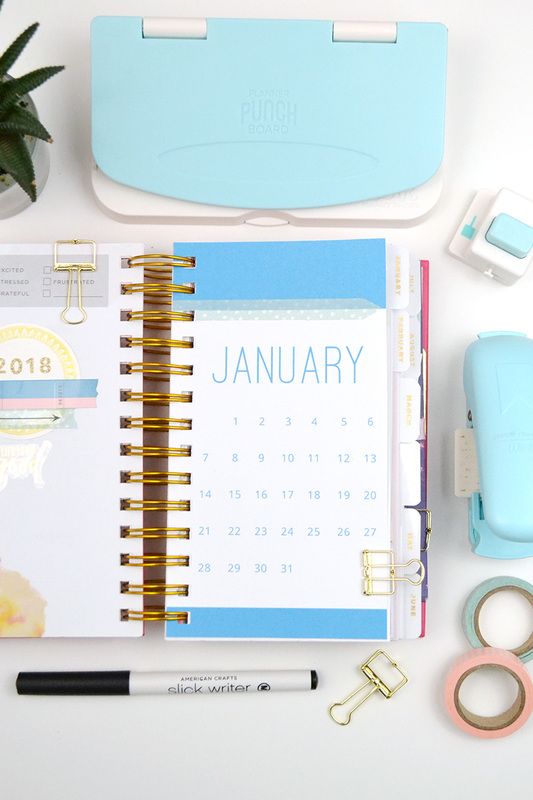 If you’re not a planner fan, you can still use this free printable 2018 calendar. 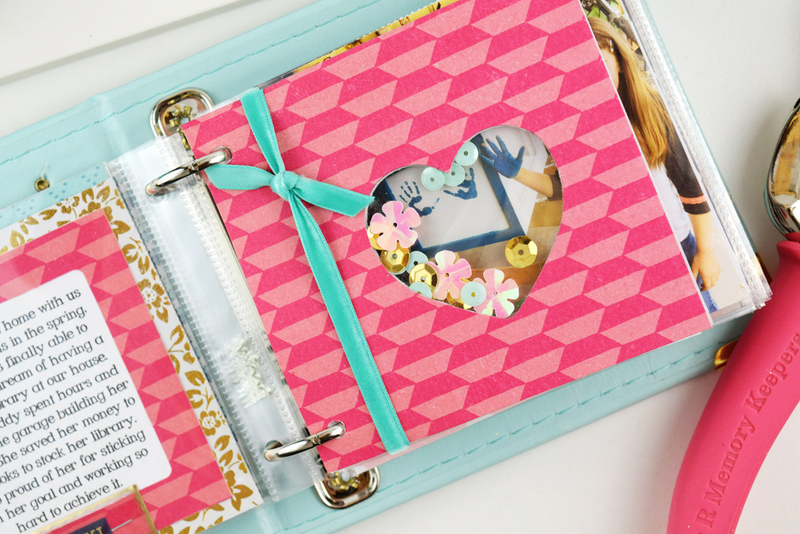 You can print it and bind the pages with the Cinch binding tool along the left edge. 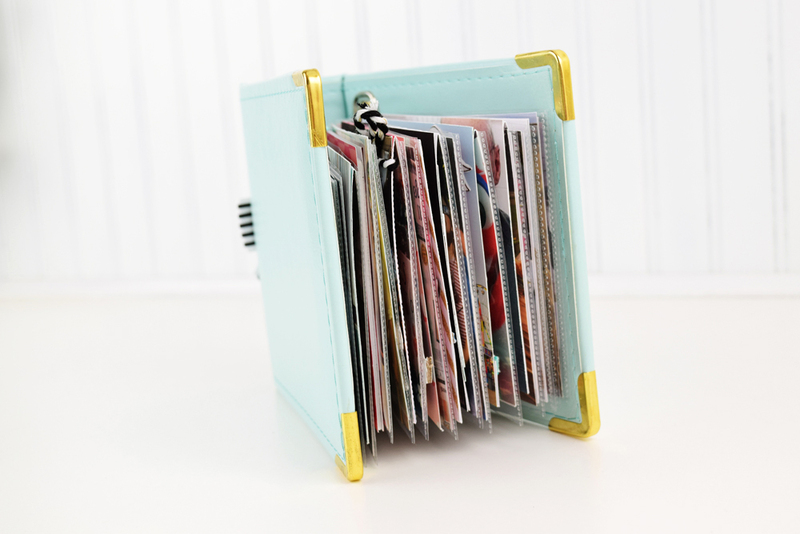 There’s extra room there for binding. Thanks for stopping by today, and I hope you enjoy this little gift and have a Merry Christmas! Happy Friday friends! 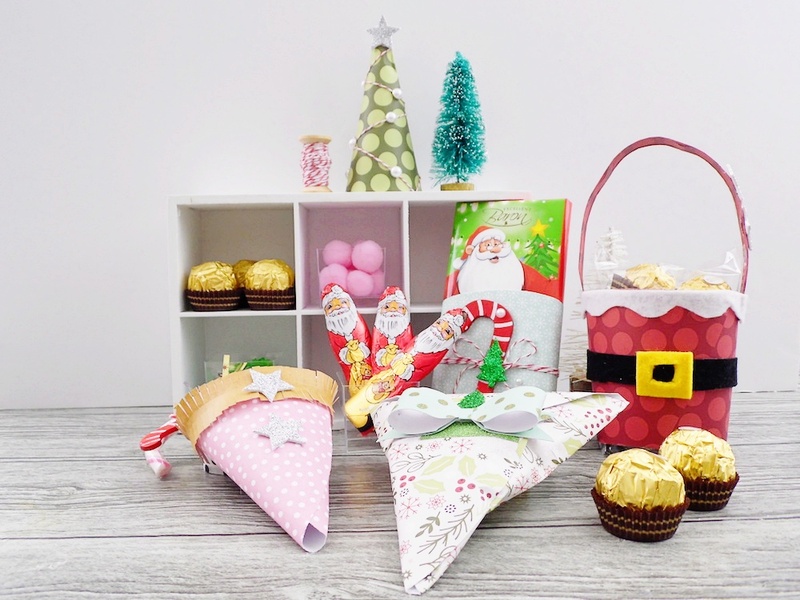 So, are you ready for Christmas? Are you baking this weekend? 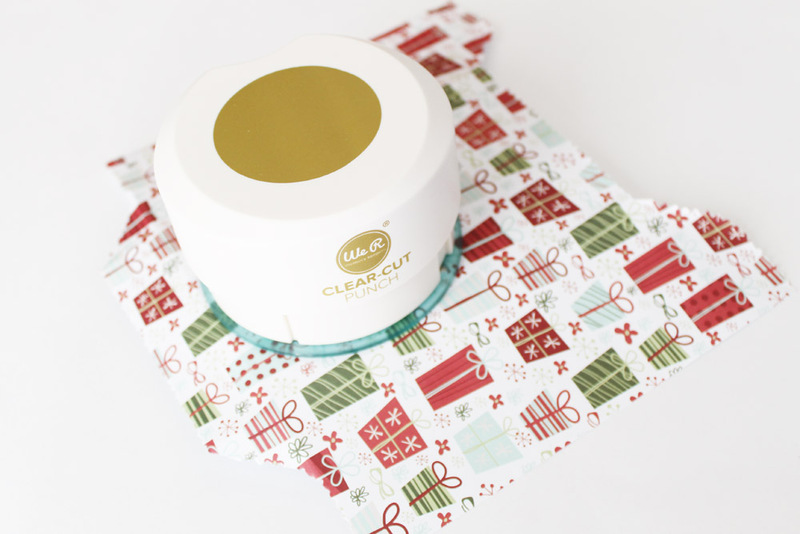 Or maybe you’ve got a few more last minute gifts to take care of? 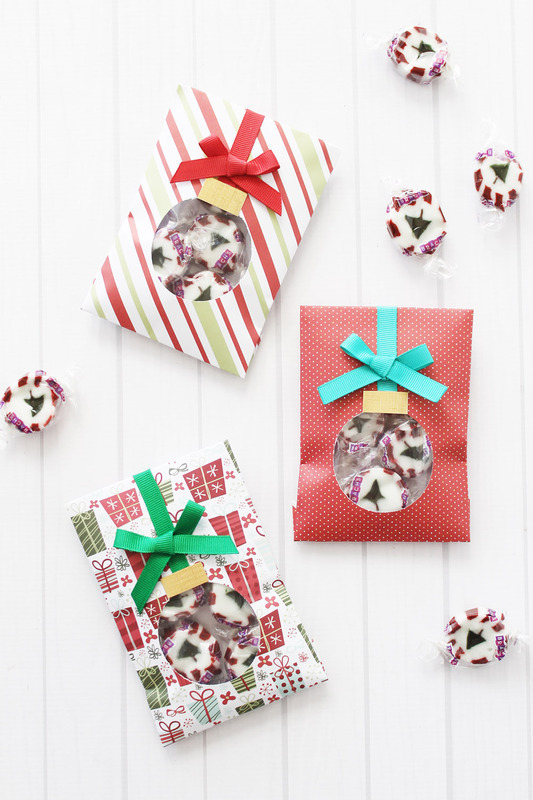 Well, we’ve got some fabulous inspiration for sharing treats and baked goods this Christmas weekend, so sit back, relax, and get ready for something sweet! 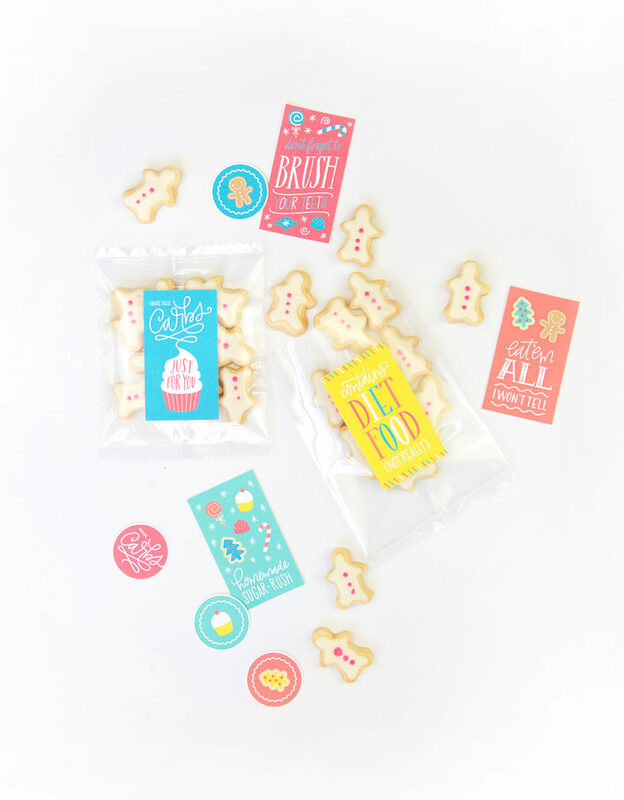 Not only are these pretty boxes made with the 123 Punch Board filled with yummy treats, but there’s also a fun interactive suprise inside made with the Mini Alphabet Punch Board! 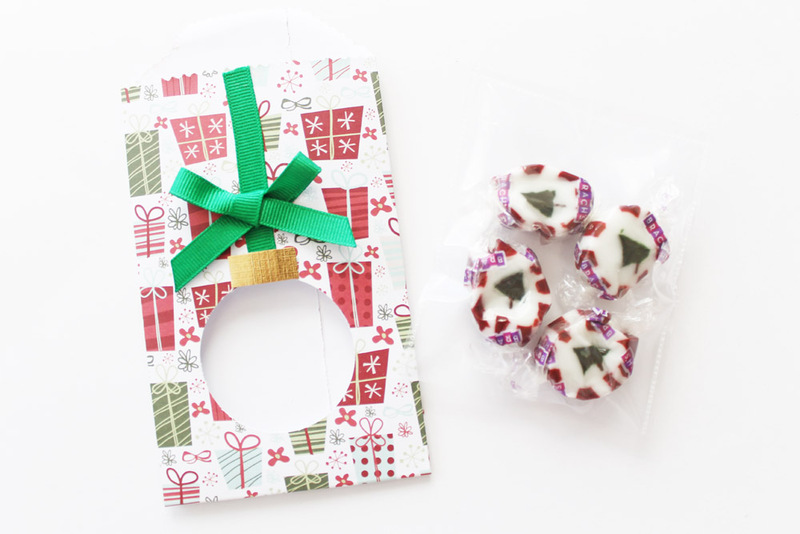 CLICK HERE for the full tutorial and a delicious sugar cookie recipe. 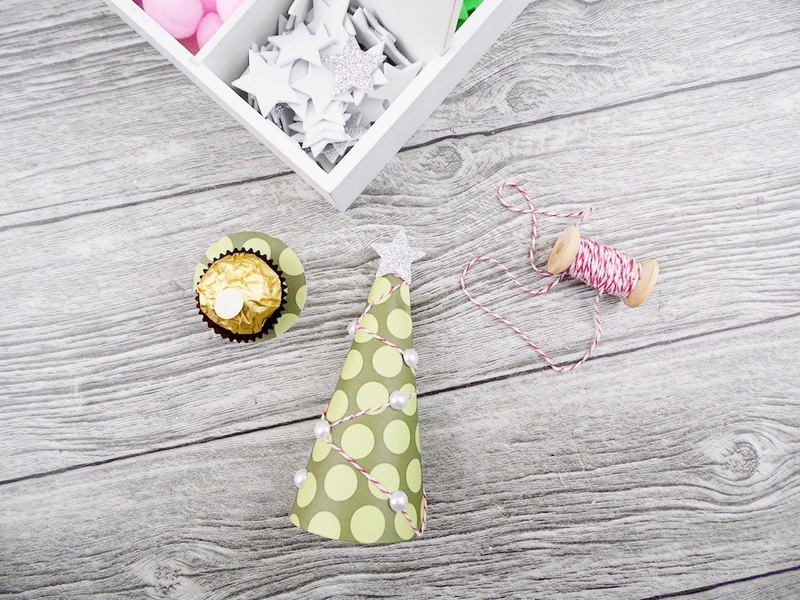 Dress up your serving platter with a festive DIY Party Mini Piñata! 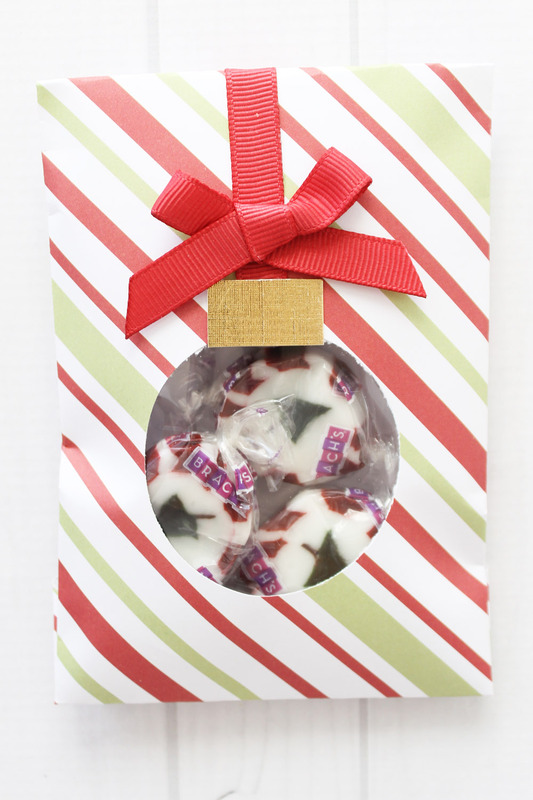 Add a strand of Christmas lights inside and your goodies will be sure to impress. 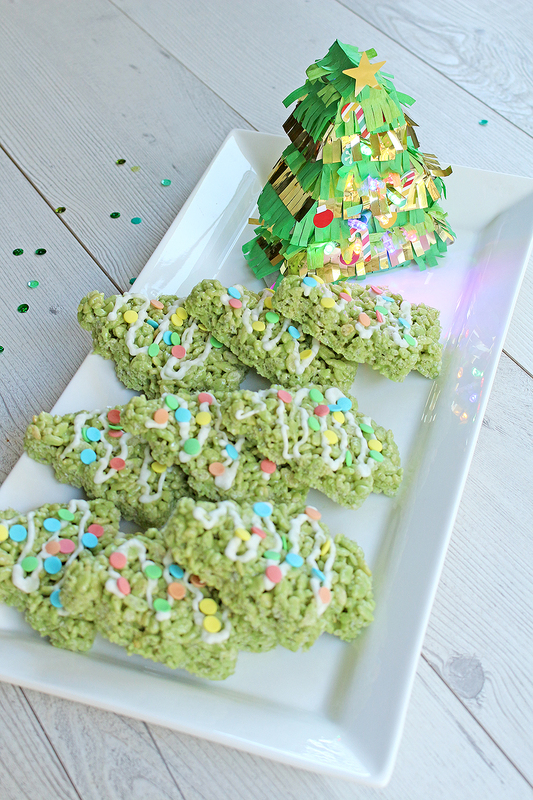 You can find the how-to along with a recipe for these yummy cereal bars HERE. 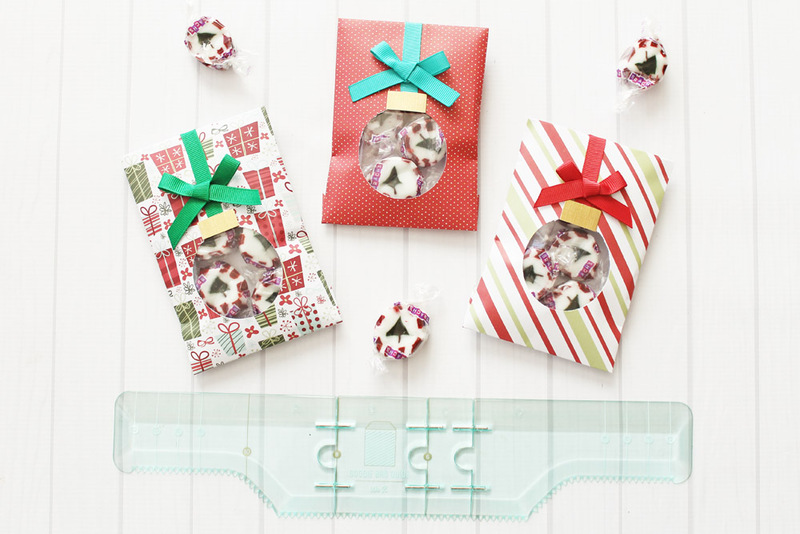 Create easy clear pouches for your holiday goodies with the Photo Sleeve Fuse and some plastic page protectors or sheets. 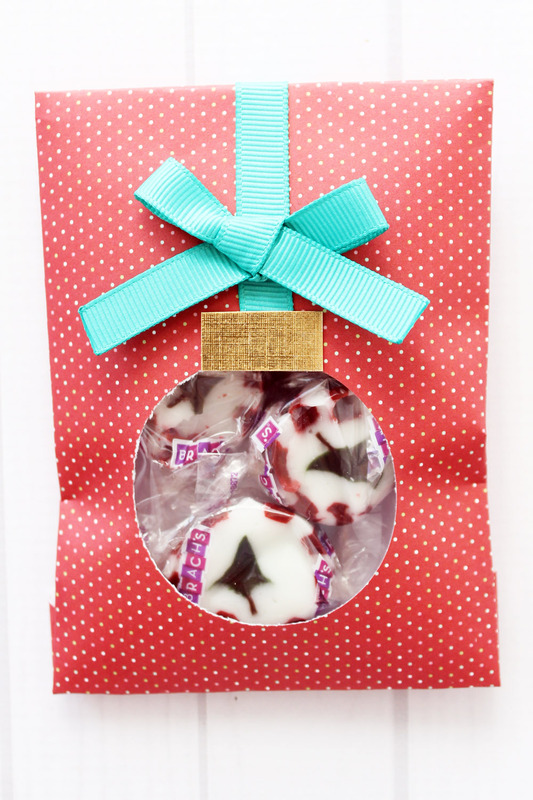 That way your recipient will get to see the sweets inside–so fun! 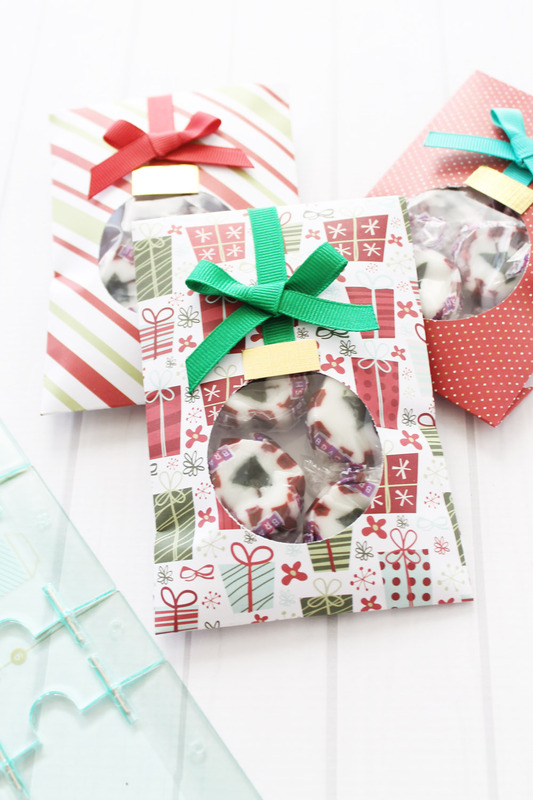 CLICK HERE for a tutorial and some free printable tags from the Damask Love blog. 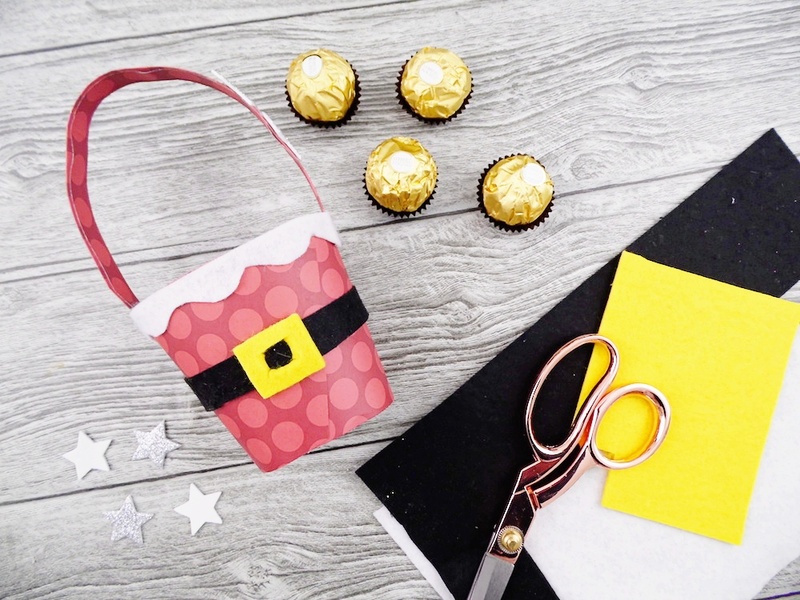 Make easy and adorable treat bags with the Goodie Bag Guide and glassine papers. Find out how on the blog HERE, plus grab a recipe for some homemade caramel popcorn while you’re there. 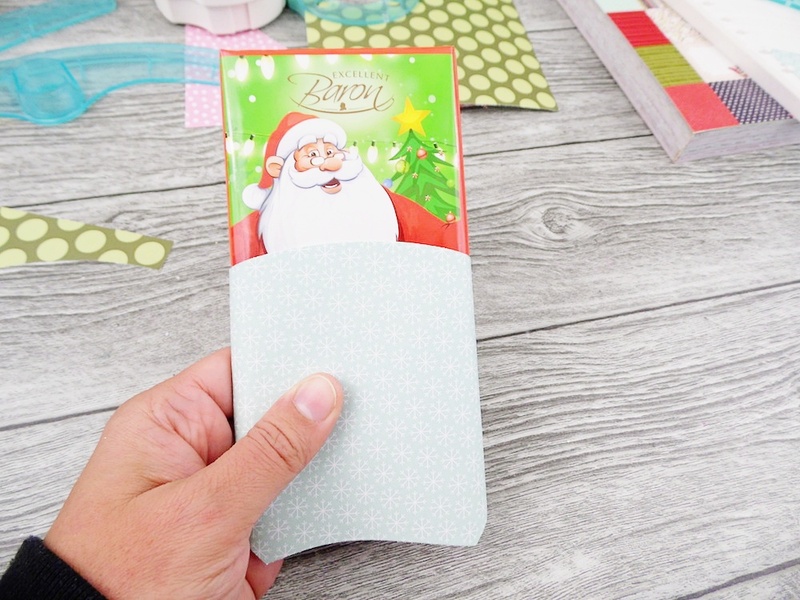 Gather your favorite holiday recipes in a custom book made with The Cinch binding tool. 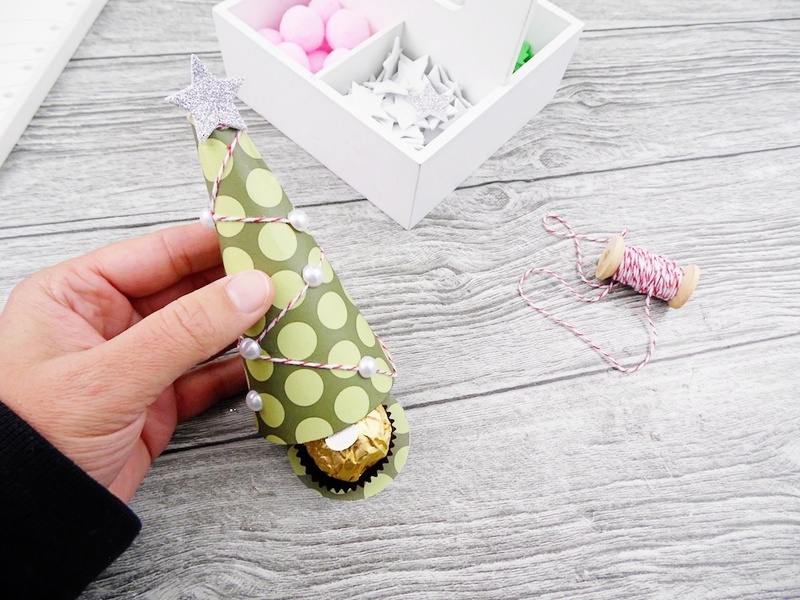 You can make one for yourself, or give one away as a gift! CLICK HERE for more photos and details. Thanks for stopping by today. 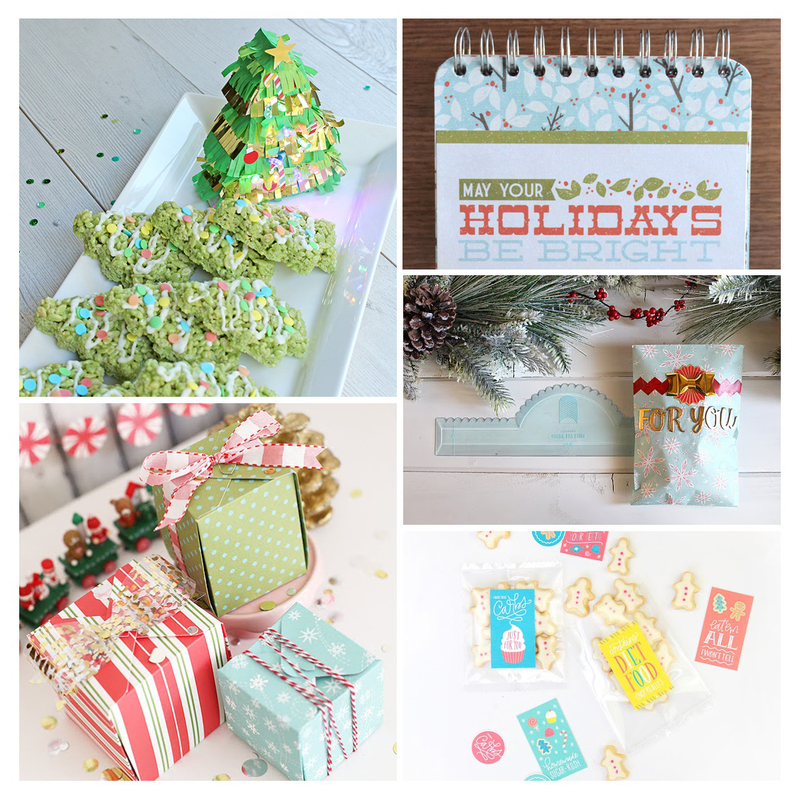 We hope you’ve found some helpful inspiration for your holiday baking and gifting. Have a great weekend, and Happy Holidays! 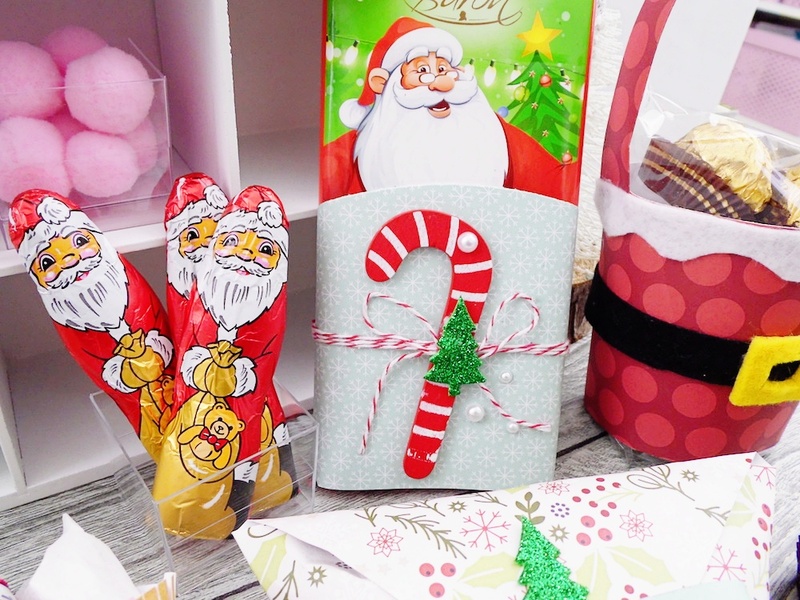 The Template Studio is perfect for creating larger scale gift or treat packaging. All you need is a large sheet of poster board, which you can find HERE or at an office supply or school supply store. 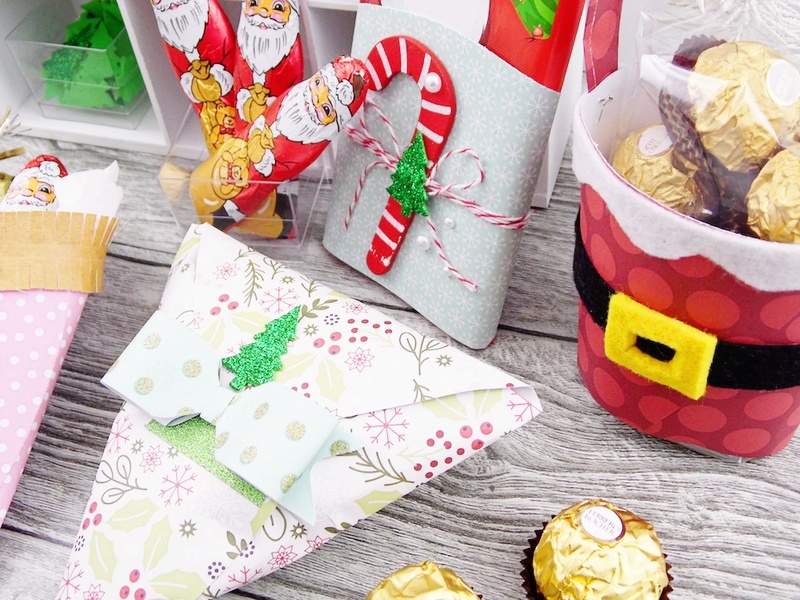 Check out the holiday candy boxes I made with my Template Studio below, and then scroll down for a yummy caramel corn recipe to fill your candy boxes with! Hello friends, Aly here with you again today. 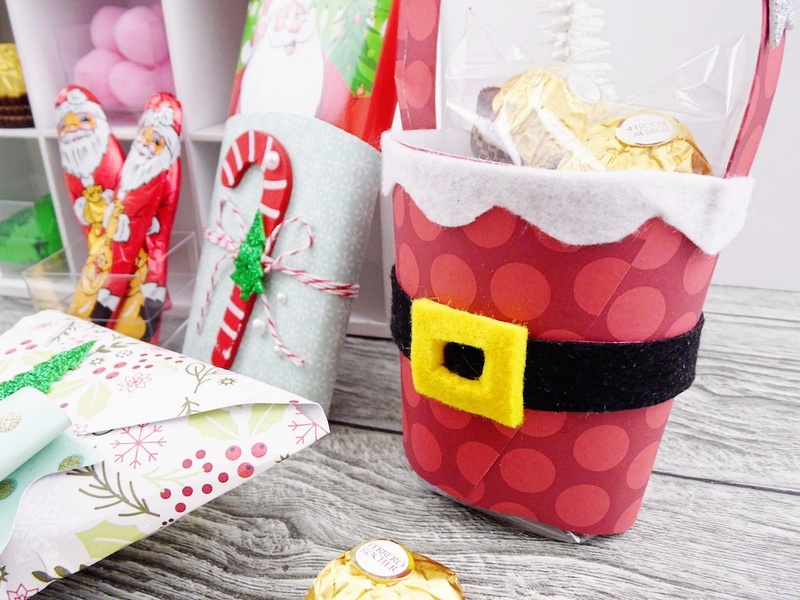 I’m sharing a set of Holiday Candy Boxes I created with the Candy Box Guide and some of the Holiday Designer Poster Board. 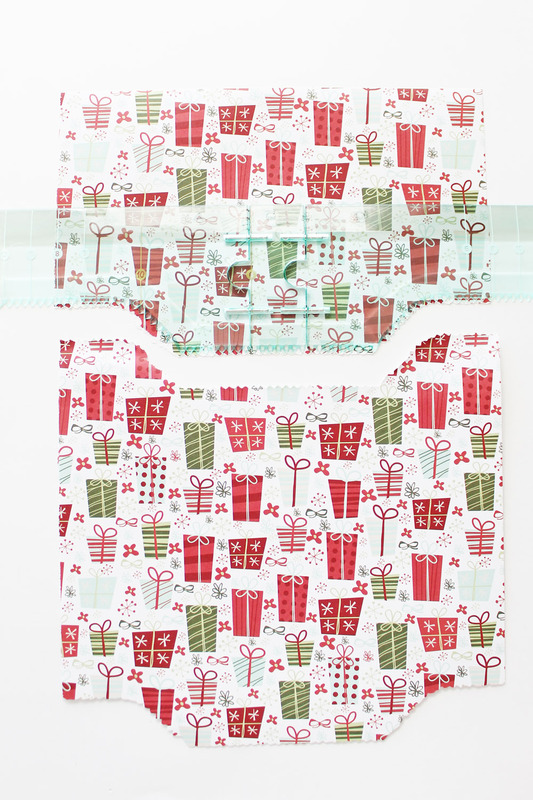 I love the unique custom gift wrap that I can create with the Template Studio. 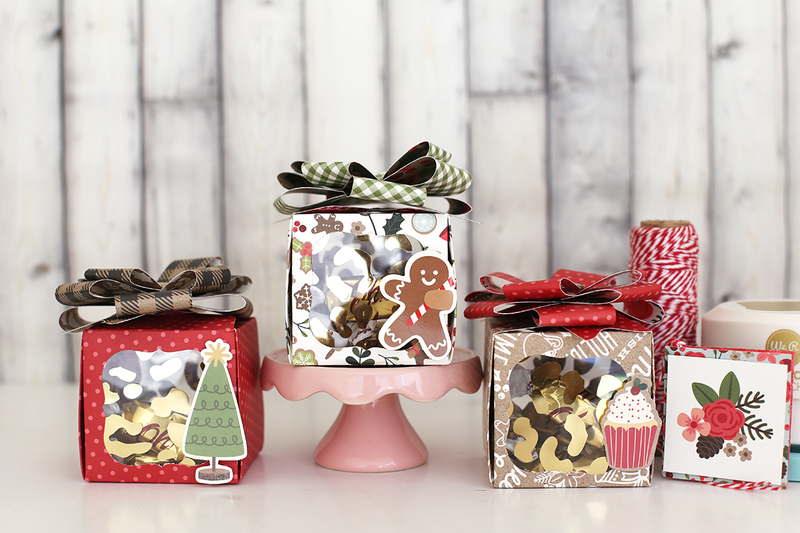 These DIY candy boxes will really make my treats stand out this holiday season. 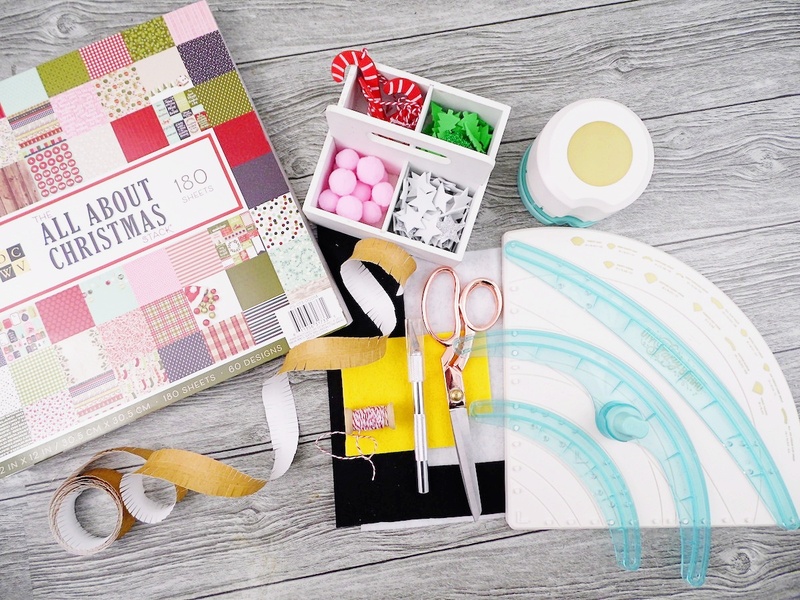 It was easy to follow the instruction guide included with the templates and make several different sizes of candy boxes with my poster board scraps. 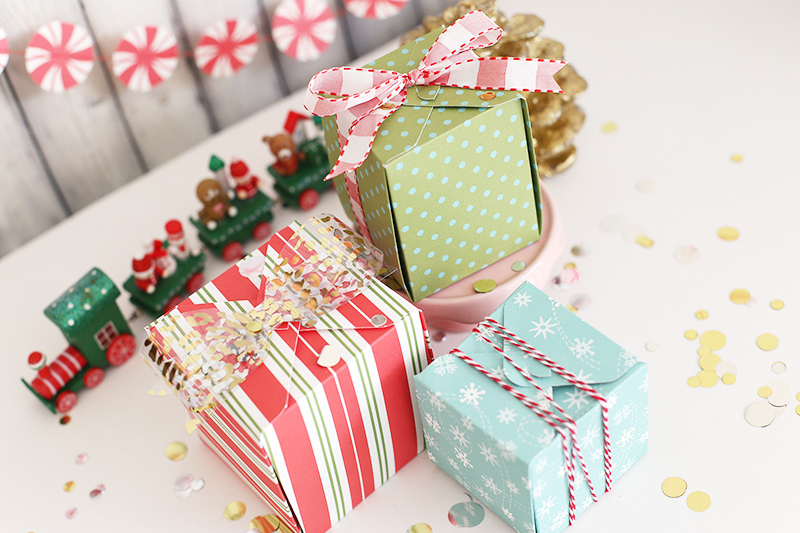 I dressed up my boxes with some rosettes and tags I made using tools and papers from the new DIY Party collection. 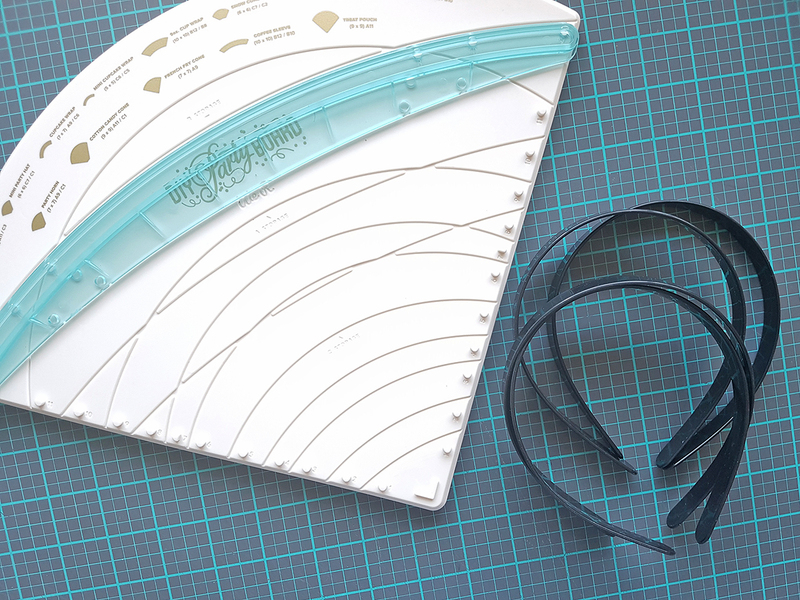 I love how quick and easy scoring and cutting paper is when using the new Fringe and Scoring Board. 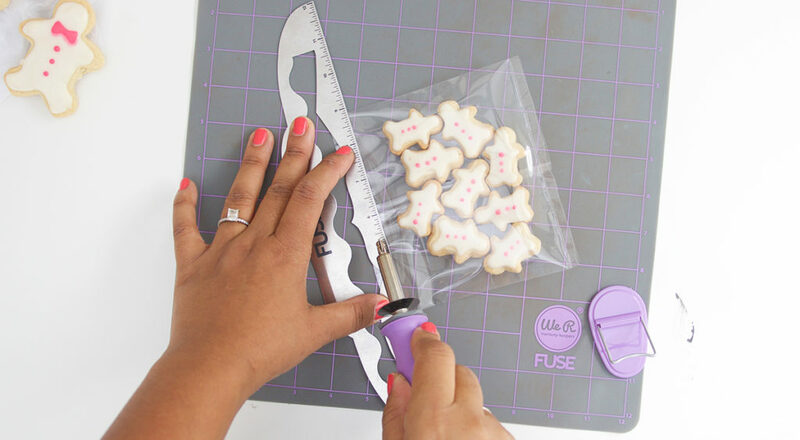 It sure saves time to score or cut 5 lines simultaneously! 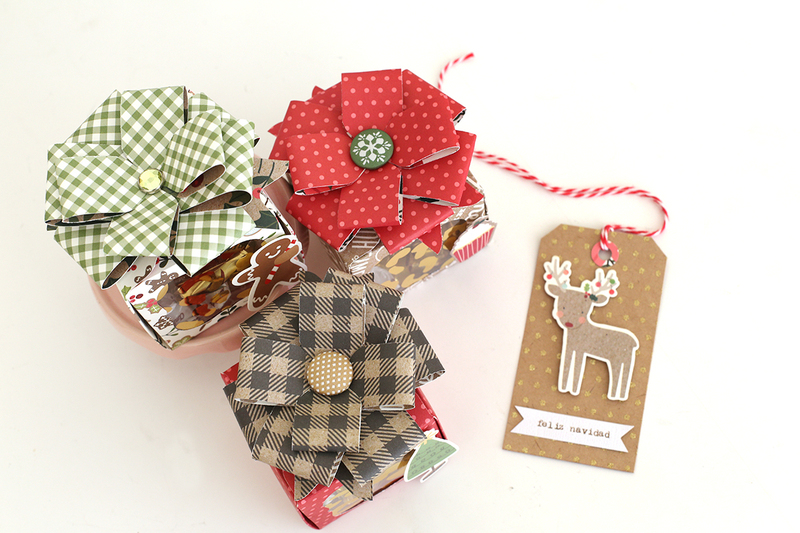 And I love the decorative edge that the Rosette Punch adds–so pretty. 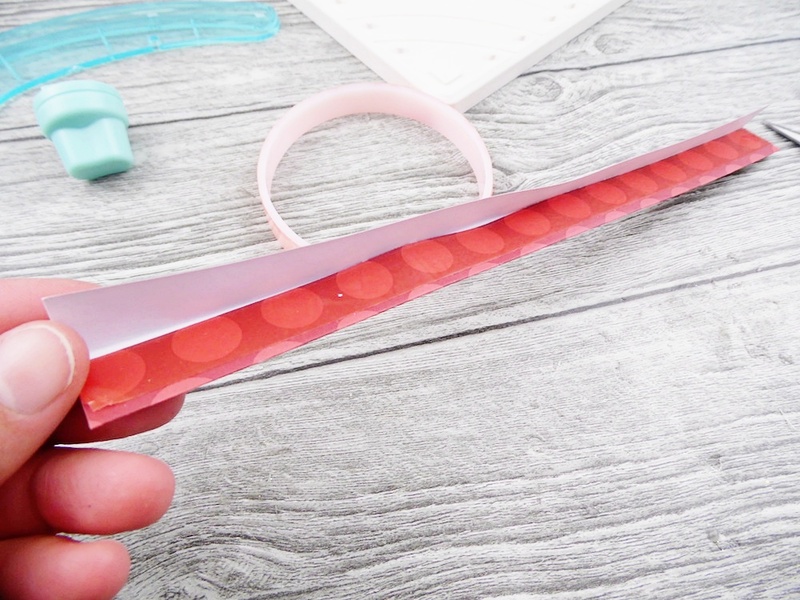 The Tag Punch is a must-have tool for any crafter! 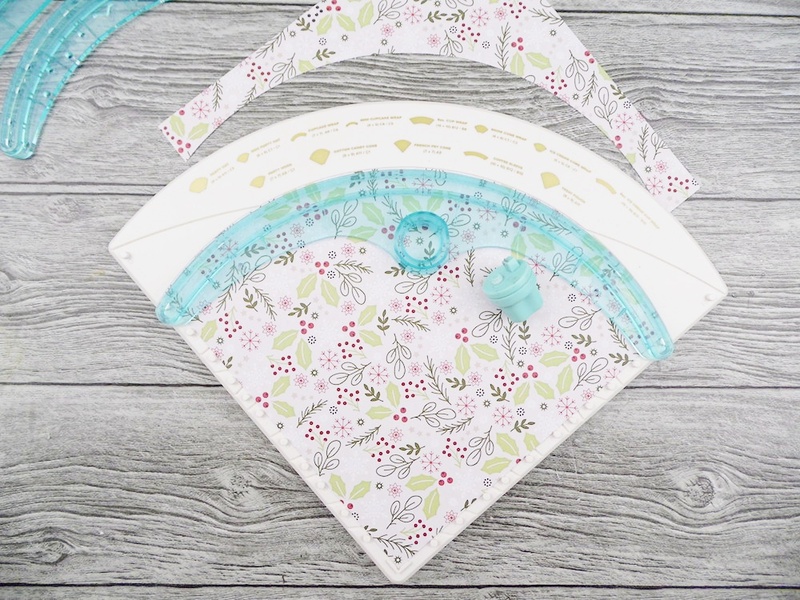 It’s versatile, making 3 different size tags, and it’s easy to use. 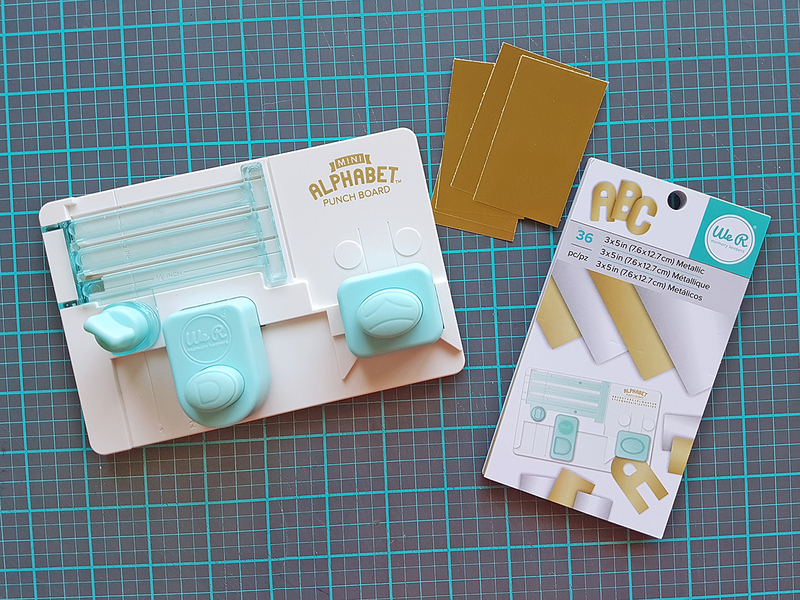 It took me all of two minutes to make custom coordinating tags for my gift boxes. Love that! 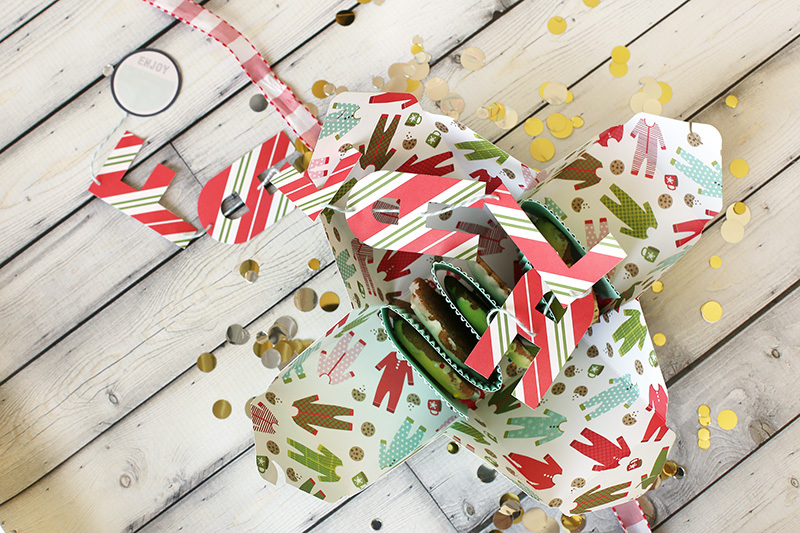 With the Template Studio it’s so easy to create large scale custom gift wrapping and party decor. 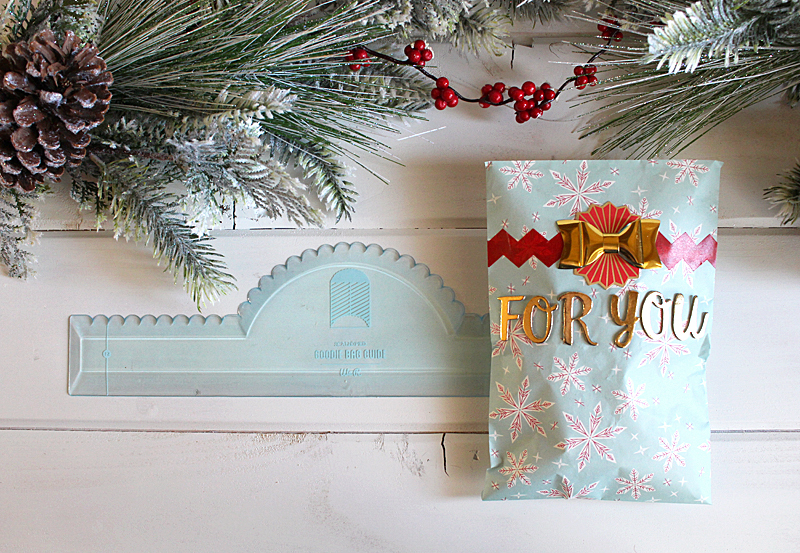 You’ll never need to buy gift boxes or bags from the store again. 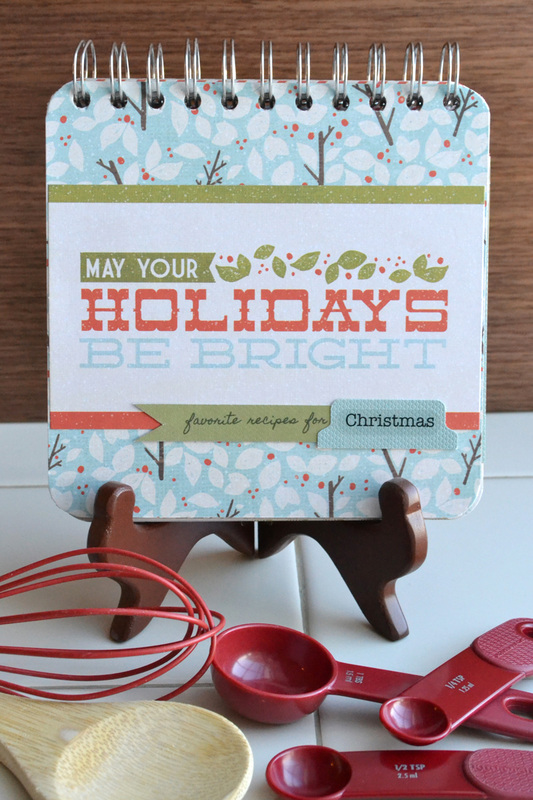 Stay tuned this week to see more Template Studio project inspiration! Combine brown sugar and cinnamon in a 4 C capacity microwave safe bowl. Mix well. Chop butter into chunks and place on top of sugar mixture. Pour corn syrup over the top of everything. Microwave on high for 30 seconds and then stir to combine. Return to microwave and heat for 2 minutes. Remove and stir and then microwave for 2 minutes more. Hello everyone! 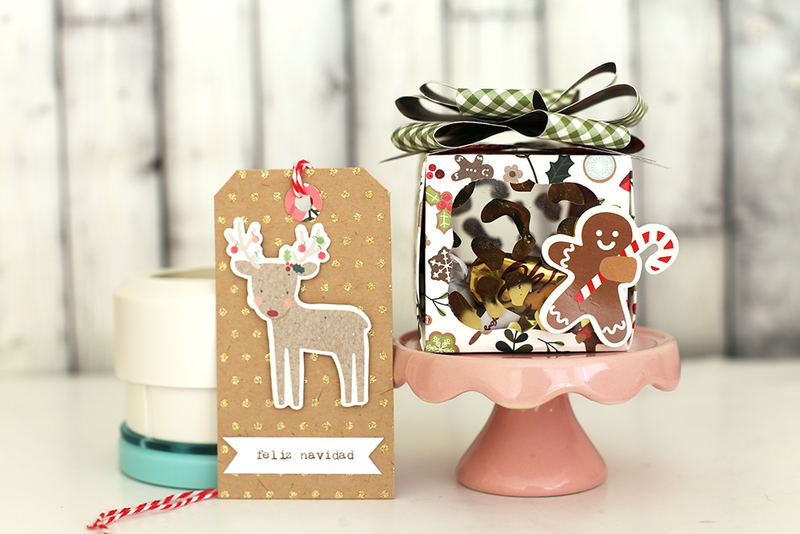 It’s Eva here today bringing you a festive Candy Box with a window and a big bow made with the 1,2,3 Punch Board. 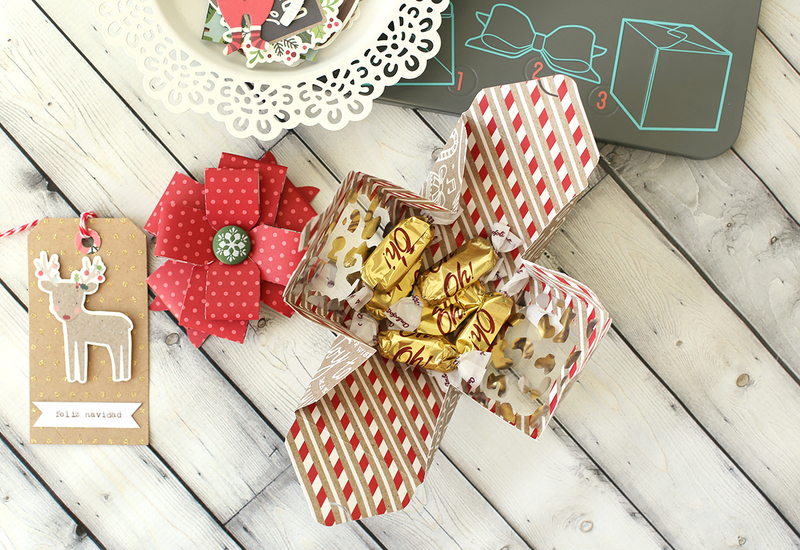 Candy Boxes are a great gift for friends, neighbors or work colleagues. 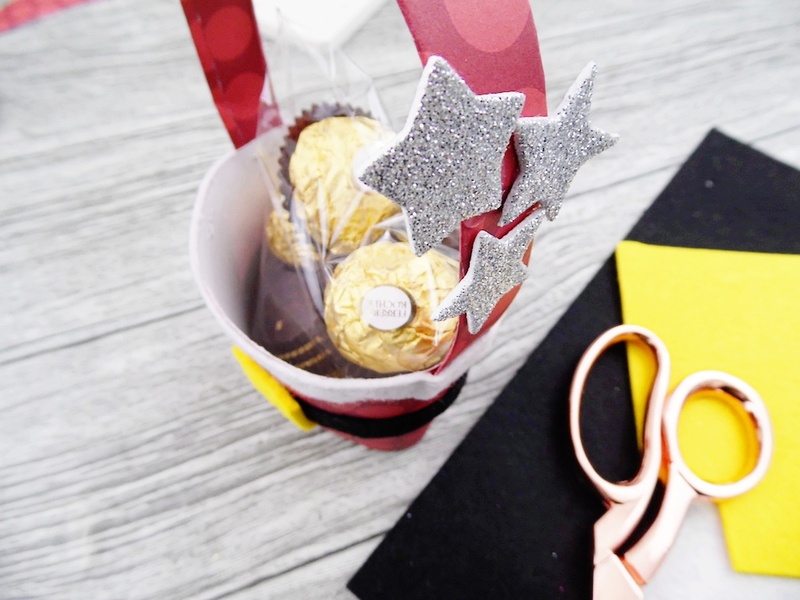 They are easy to make and you can make them in a batch using just a few supplies. 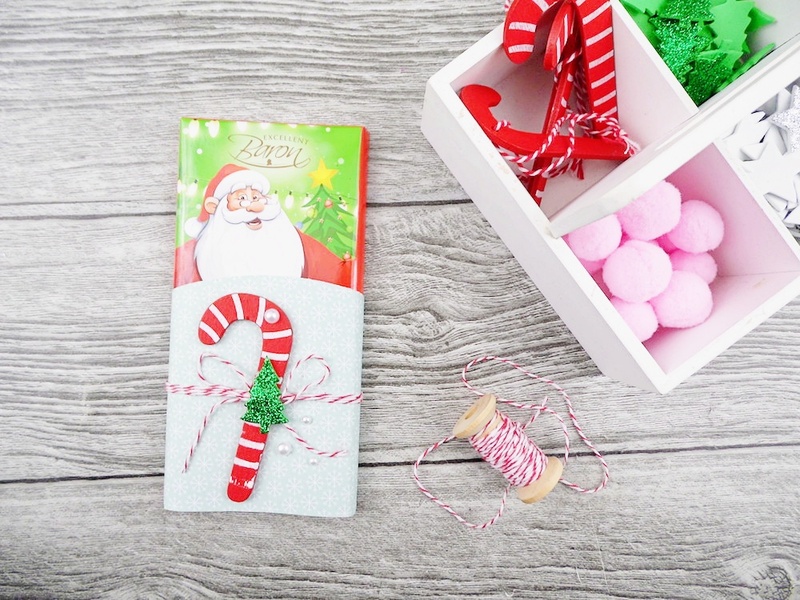 I made mine using the new Merry Merry line from Pebbles Inc.
Use your 1,2,3 Punch Board to make a medium size box. 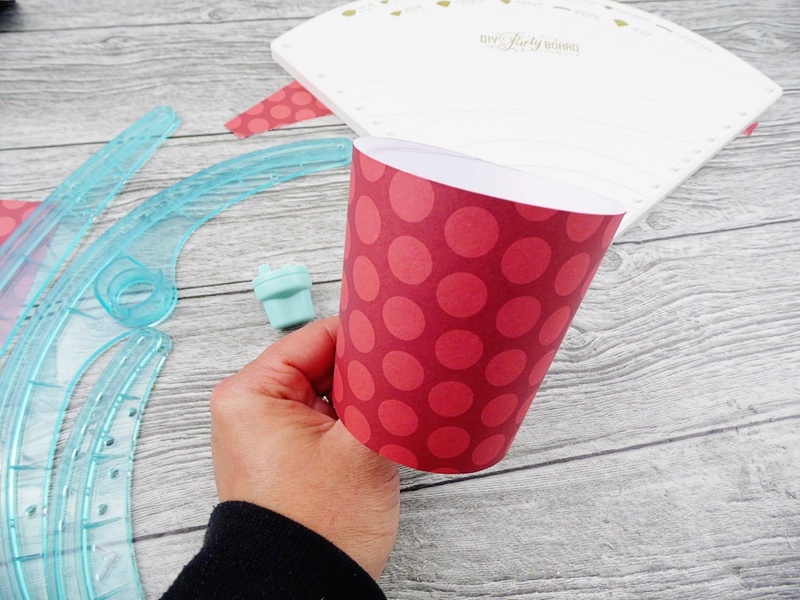 All the instructions are already on the board so it is super easy! 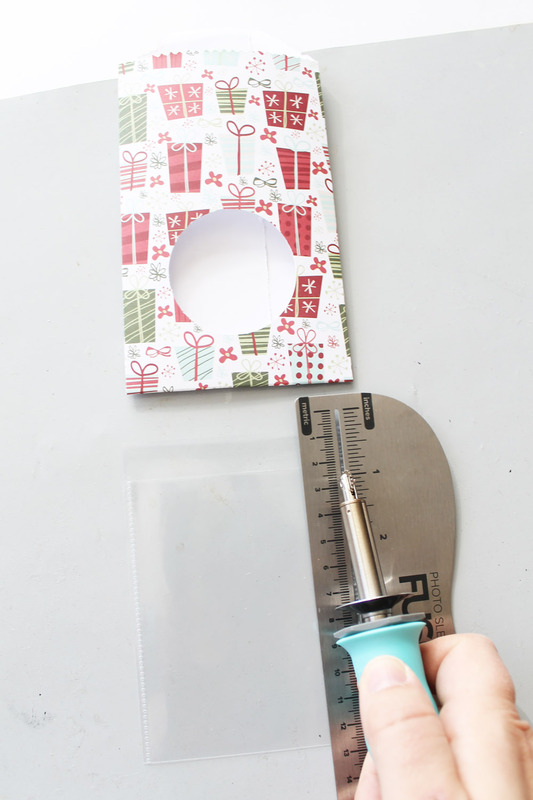 Use one of your Clear Cut Punches to cut windows on two sides of your box. 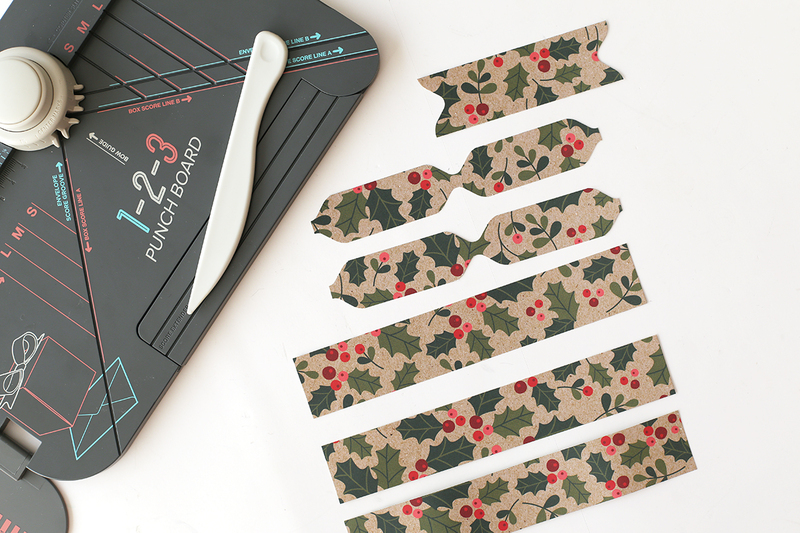 To make the big bow cut paper strips to make one Medium Bow Base, 3 Medium Bows and 2 Small Bows. Punch only the Small bows and the Bow Base because the other ones are going to be covered. 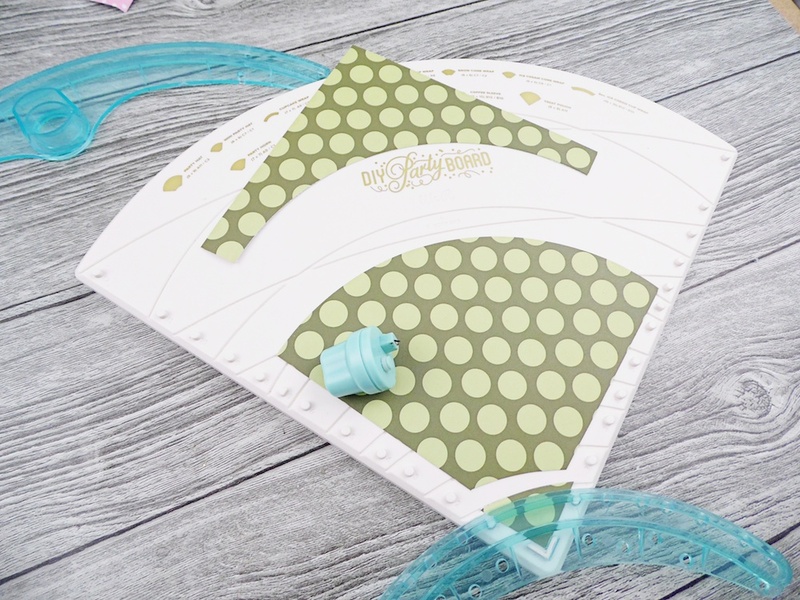 Use your Crop a Dile to make small holes on the middle of your bows and layered them. At the end, use a brad to hold everything together. 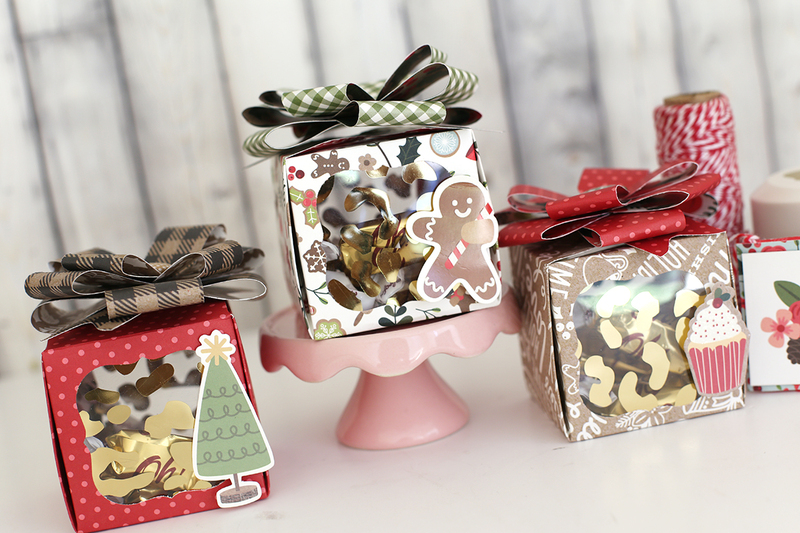 Use gold printed acetate sheets to cover the windows and decorate your boxes with a small sticker or die cut. 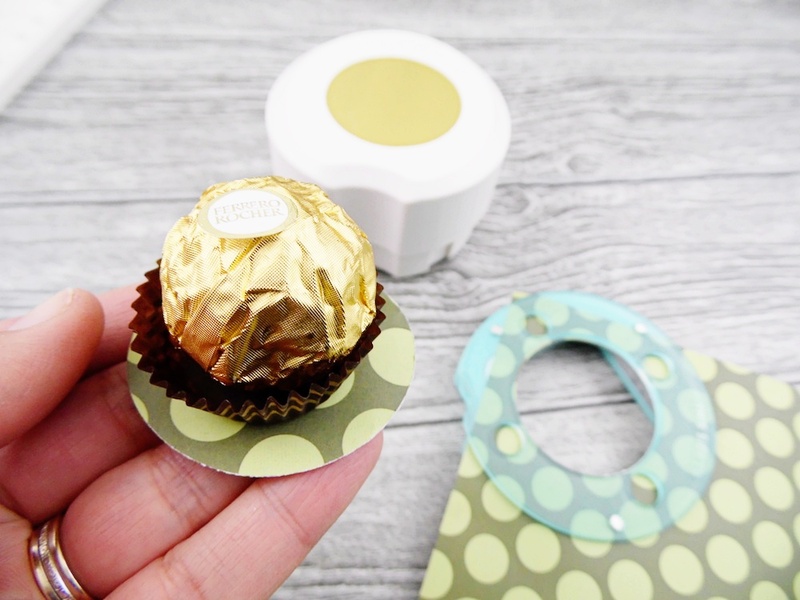 Fill your boxes with your favorite treat. I love Milk Toffee treats, they remind me when I was little and my dad used to buy me and my sister a bag at the movies. I don’t know if you can find toffees in the States but they are easy to make! (I will leave the recipe at the end of the post) you can add walnuts at the end too. 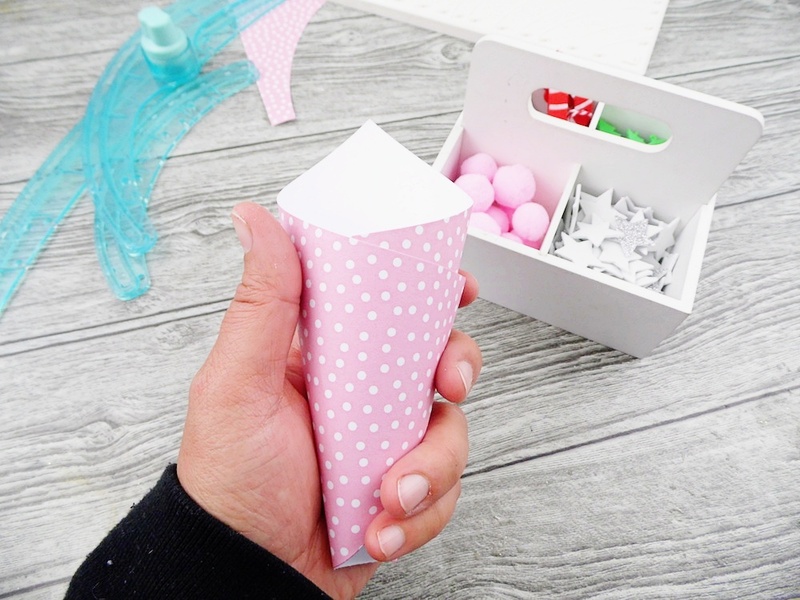 These boxes where very easy and quick to make. My We R tools really made the job easy and I am sure my neighbors are going to love them! Grease a 12×15 inch pan. In a medium-size pot, combine sugar, brown sugar, corn syrup, evaporated milk, whipping cream, and butter. Monitor the heat of the mixture with a candy thermometer while stirring. When the thermometer reaches 250 degrees F (120 degrees C) remove the pot from the heat. Stir in vanilla. Transfer mixture to the prepared pan and let the mixture cool completely. When cooled cut the Carmel into small squares and wrap them in wax paper for storage.